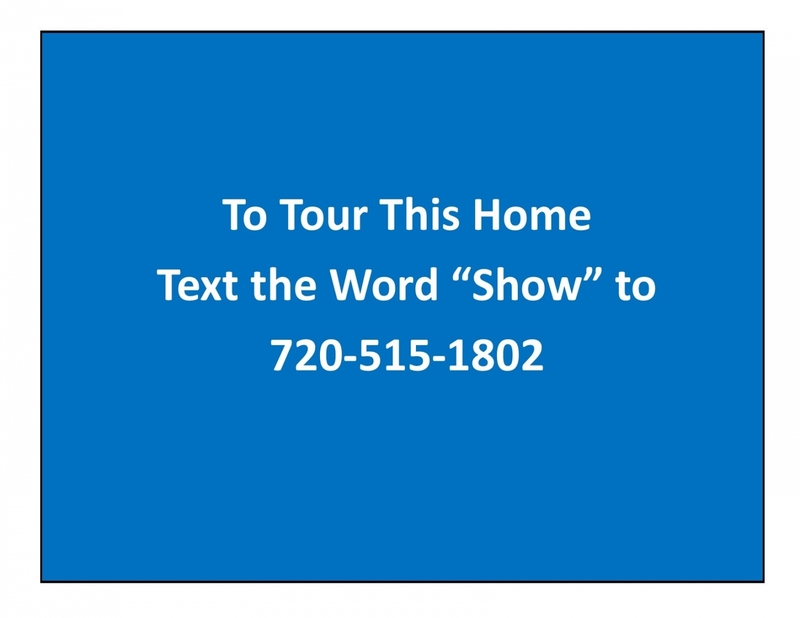 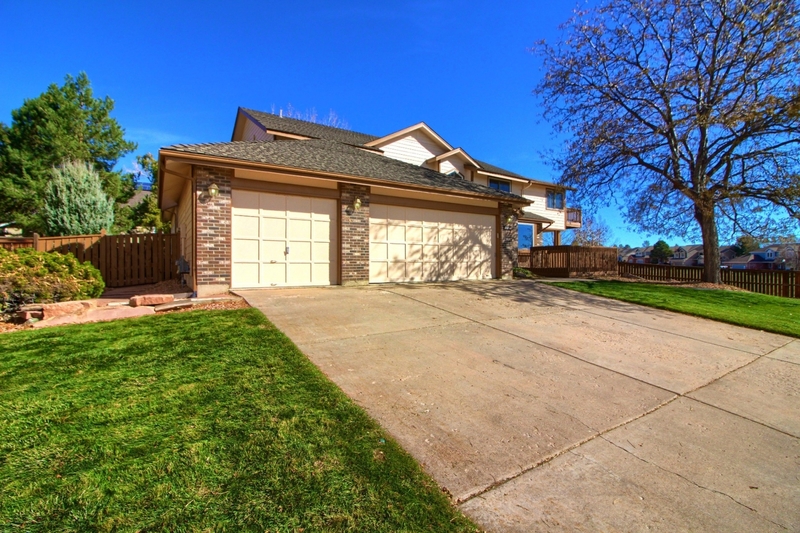 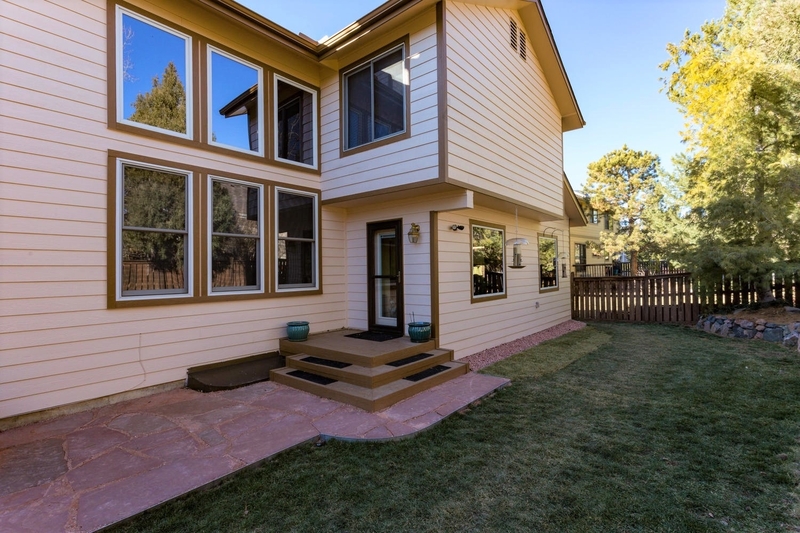 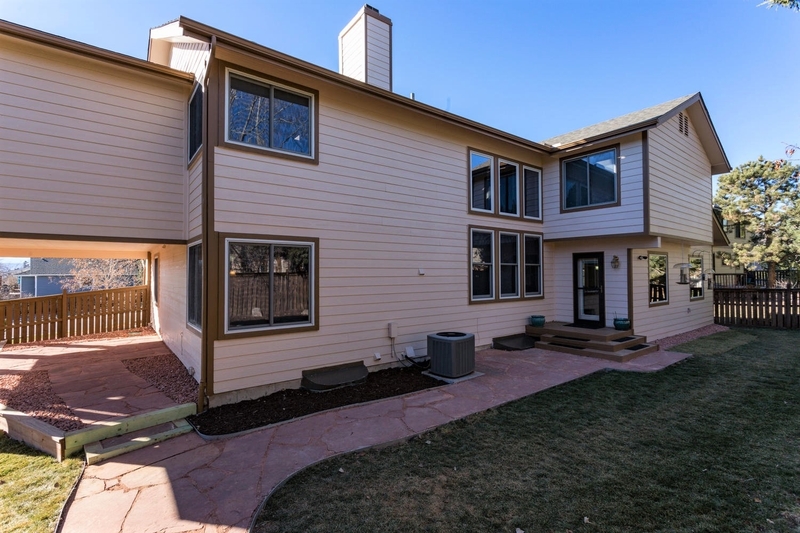 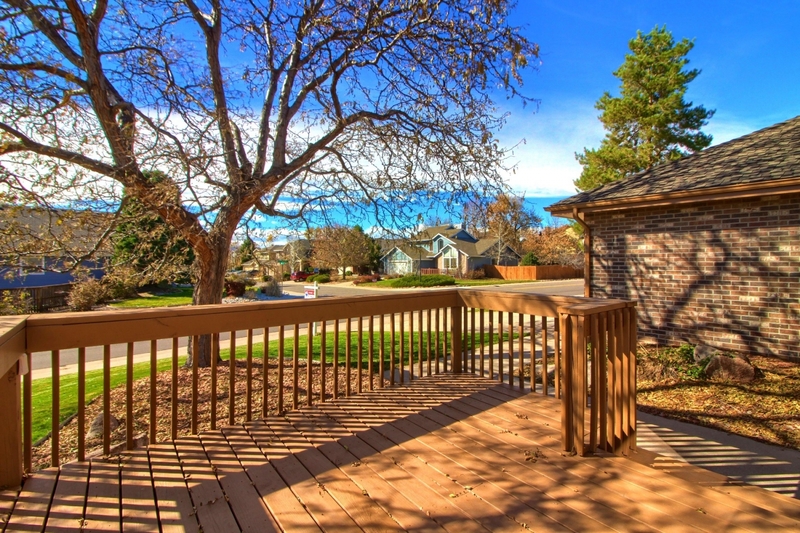 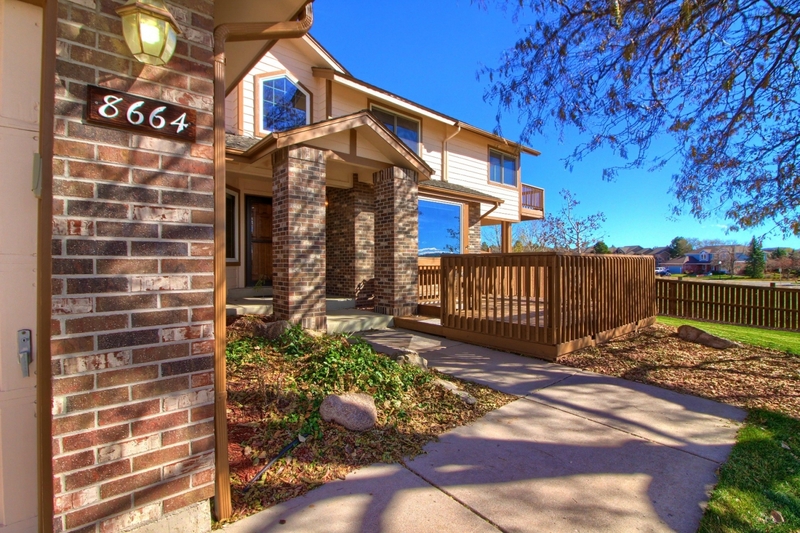 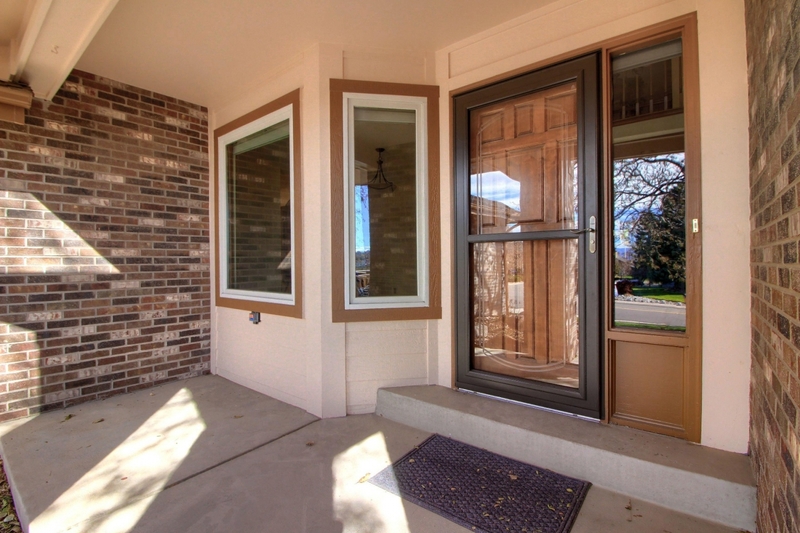 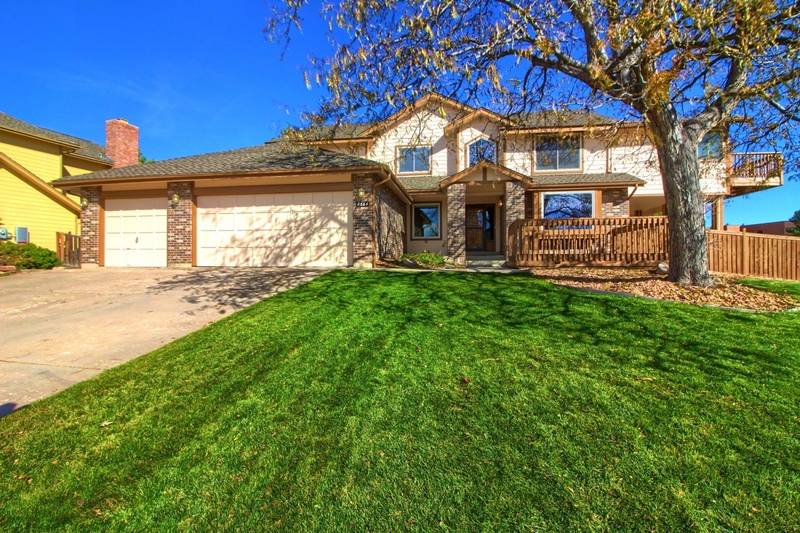 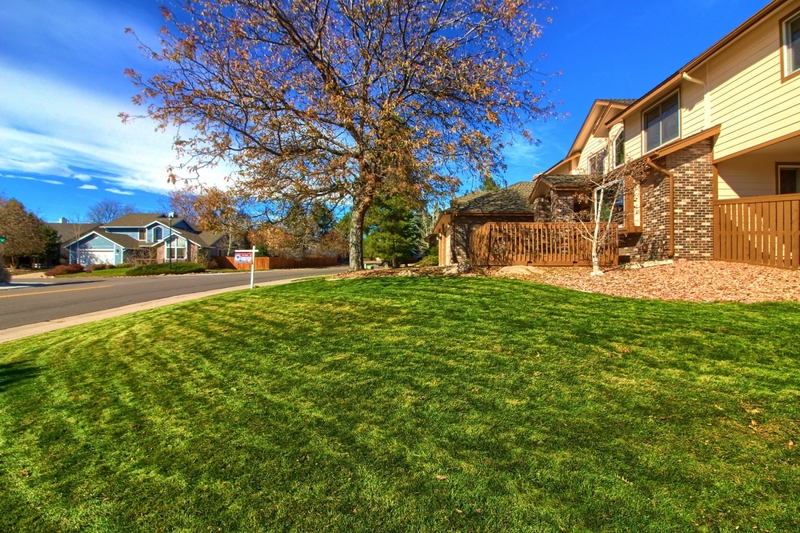 Call or Text “SHOW” to 720-515-1802 to Arrange a Tour or to Learn More about this Remodeled and Upgraded 2 Story Home offering 5 Bedrooms 5 Baths with 2 New Additions adding on 920 Sq Ft to the Kitchen Dining Area and Upstairs Bedrooms. 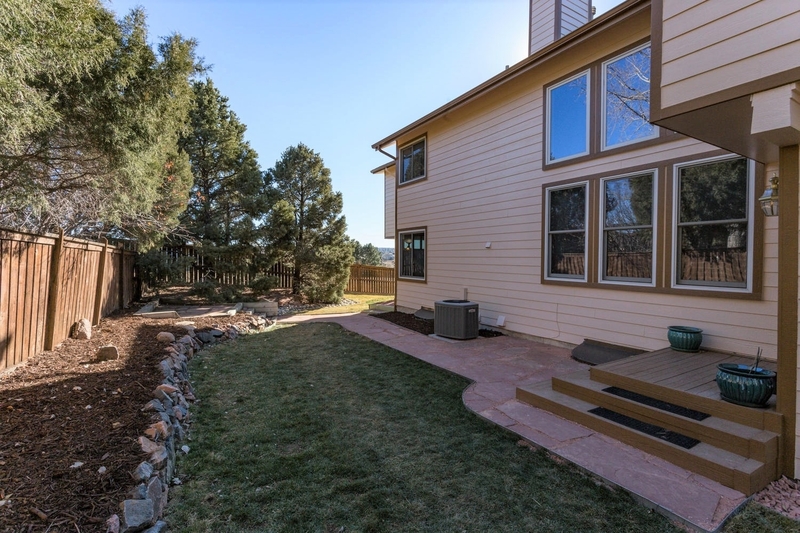 Situated on a Large 0.24 Acre Lot Adjacent to a Greenbelt and in a Convenient Location Offering Sweeping Mountain and Open Space Views. 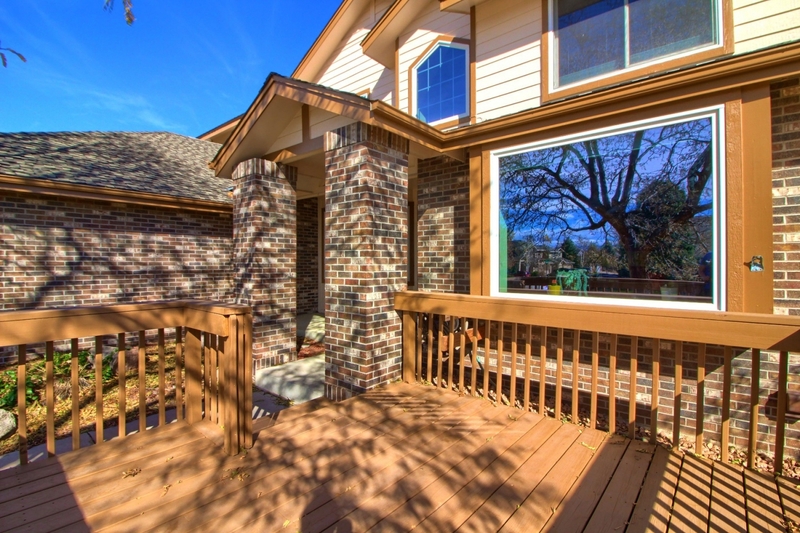 New Exterior Paint! 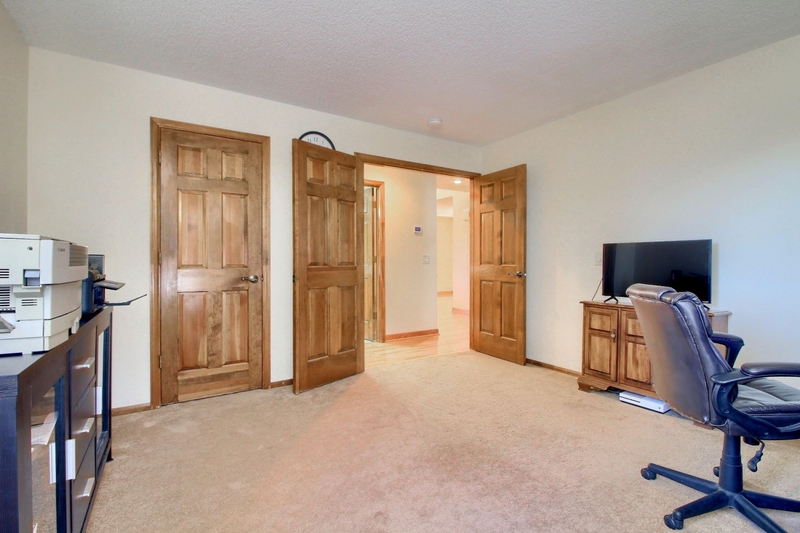 New 6-Panel Interior Wood Doors! 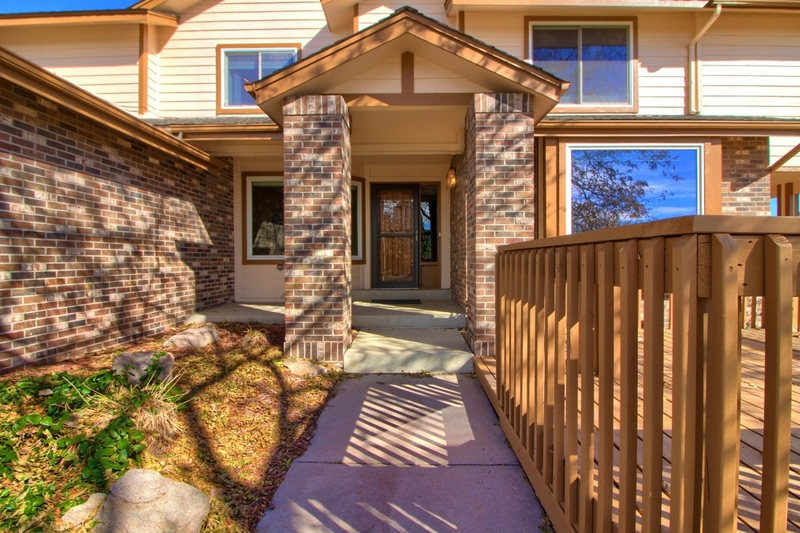 This Lovely 2 Story Home Welcomes You from Your First Steps on the Covered Front Porch to inside with a 2 Story Foyer and an Open Floor Plan with Gleaming Wood Floors. 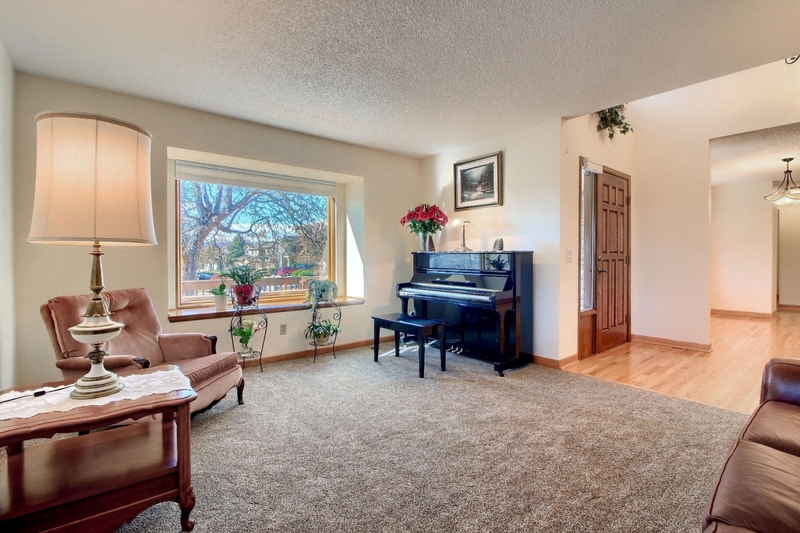 Formal Living Room and a Dining Room that also works perfectly as a Study. 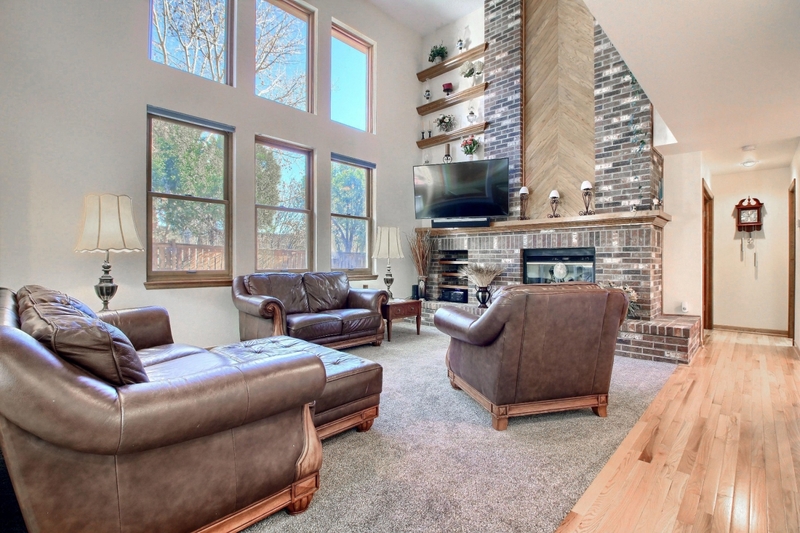 Abundant Light in the Vaulted Family Room from 2 Story Windows, Gas Fireplace with Floor to Ceiling Stacked Brick and Wood Accent and is Open to the Updated Kitchen. 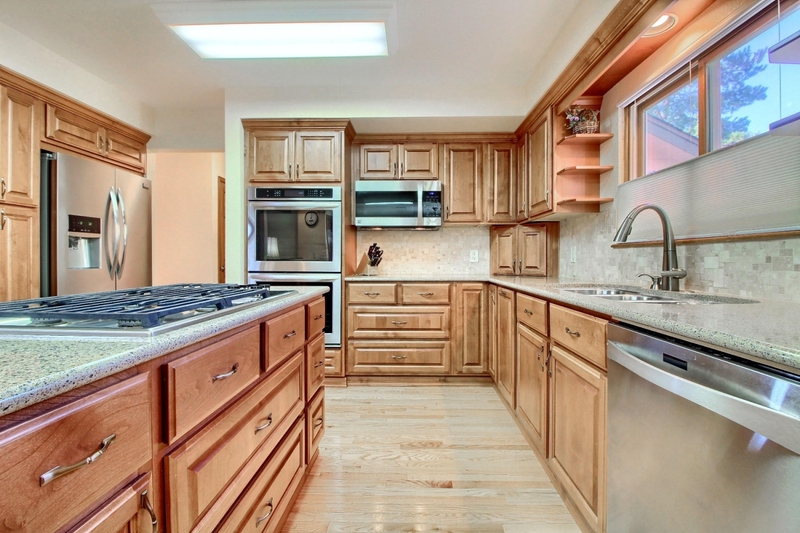 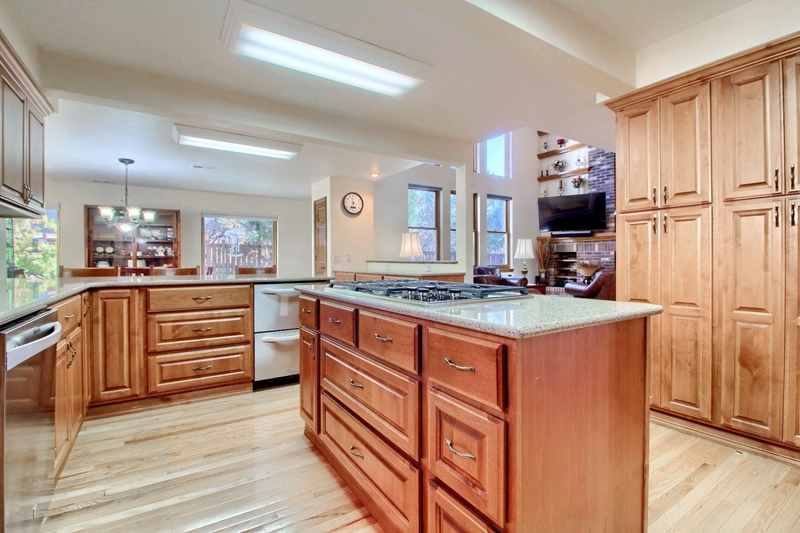 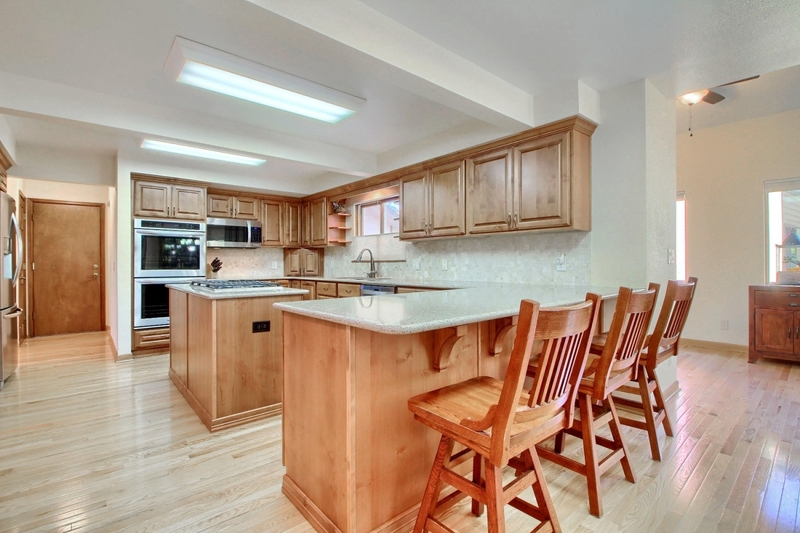 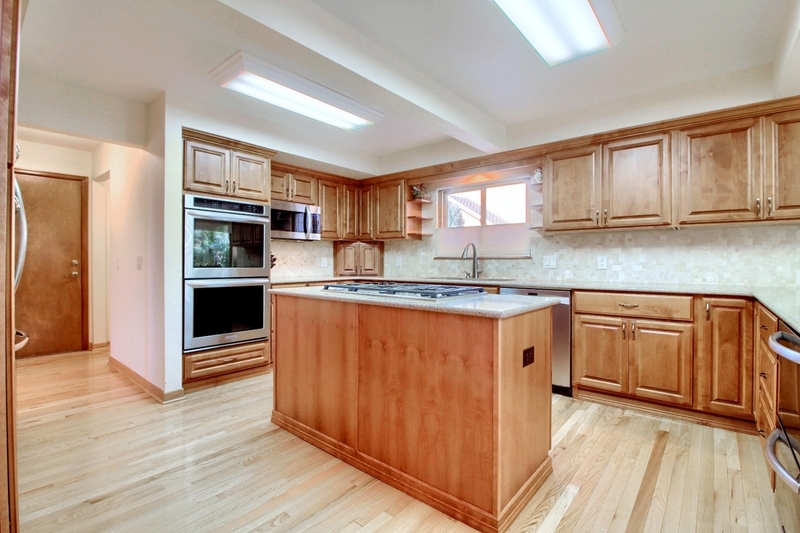 The Chef's Kitchen is a Delight offering an Island with a Gas Cook top, Stainless Steel Appliances, a Peninsula with Breakfast Bar Seating and a 2nd Under-Counter Refrigerator for Food Preparation Convenience and a Spacious Sunny Breakfast Nook. 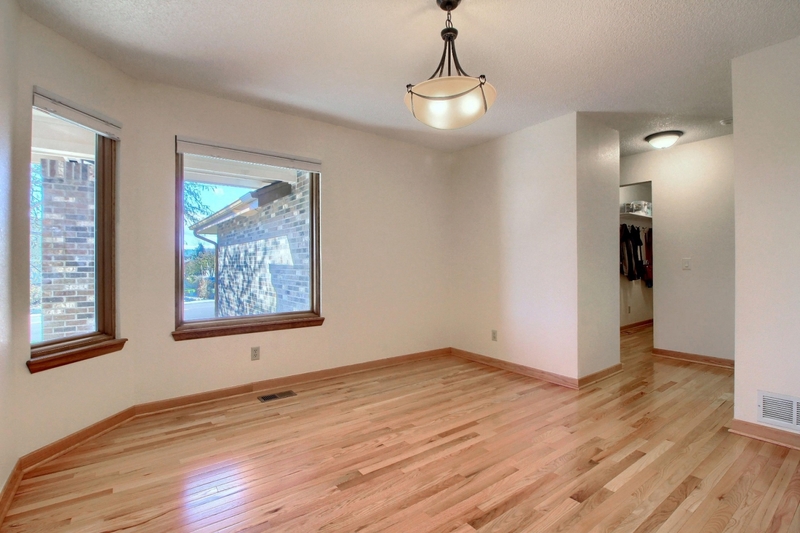 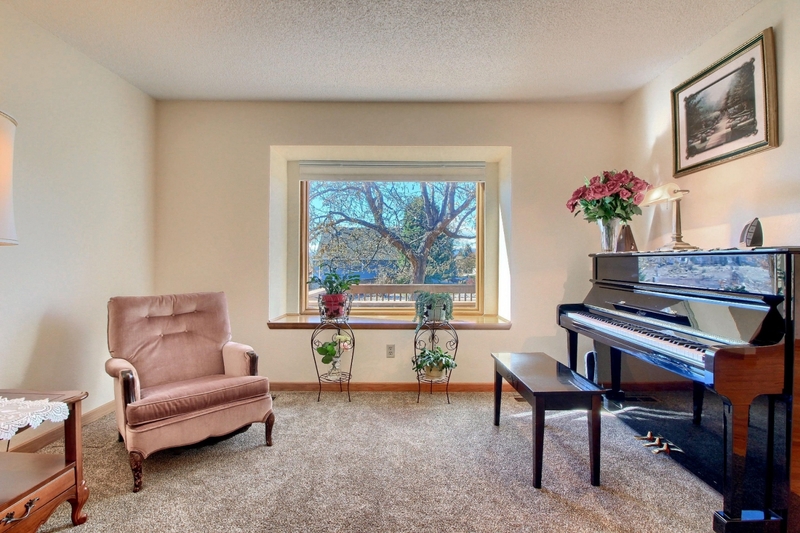 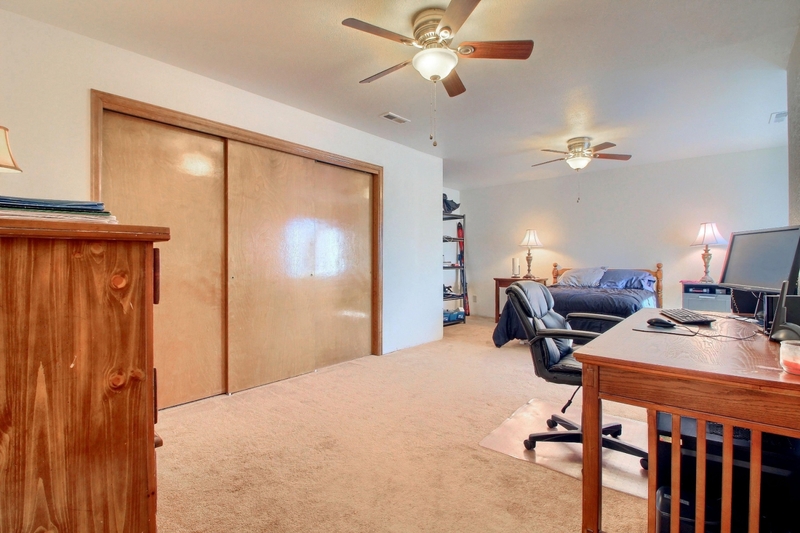 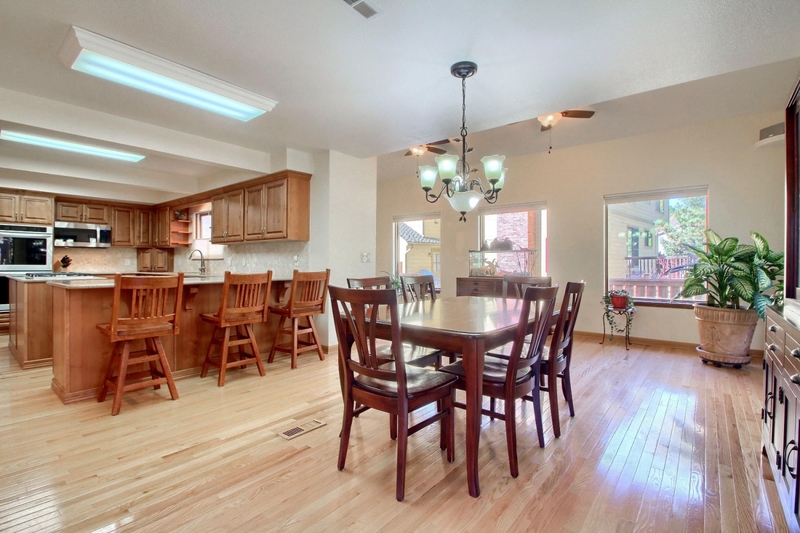 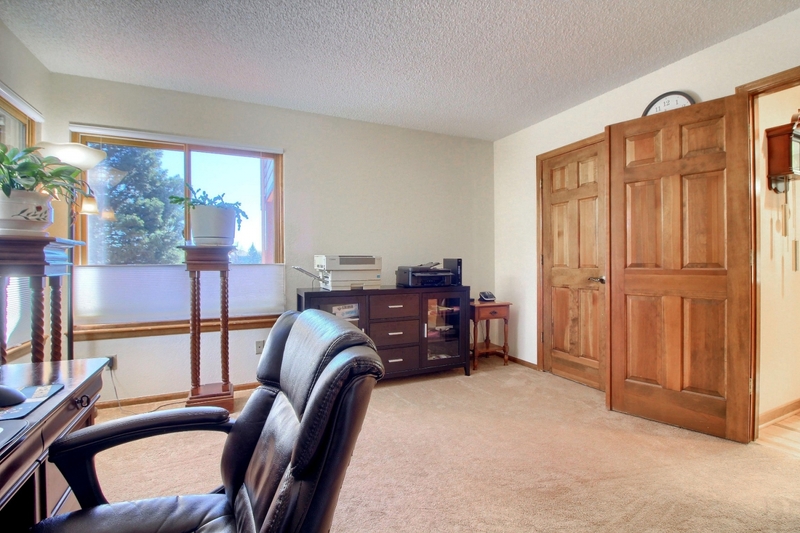 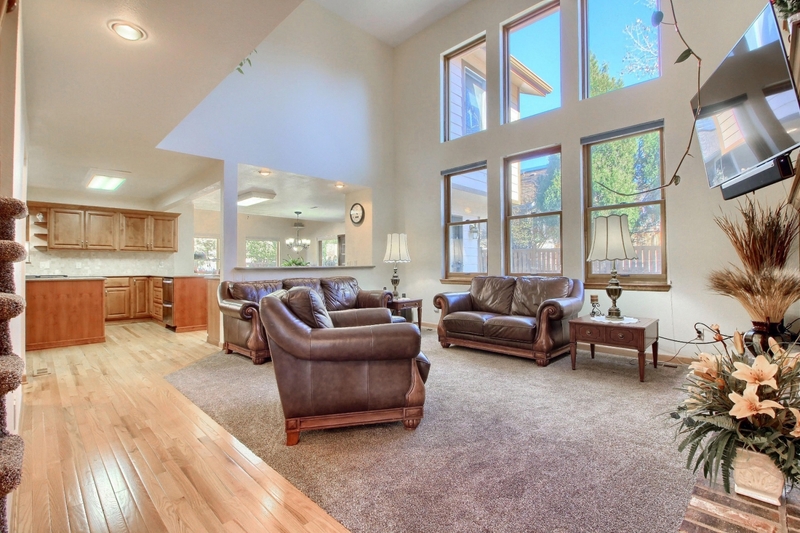 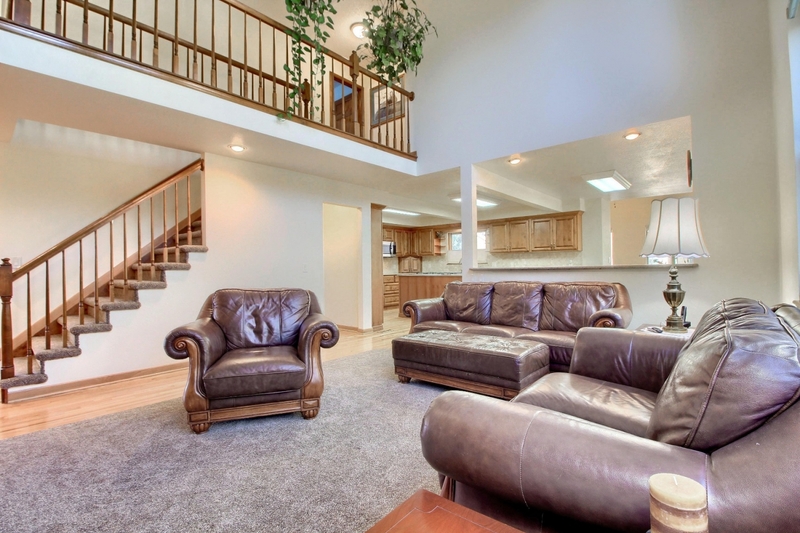 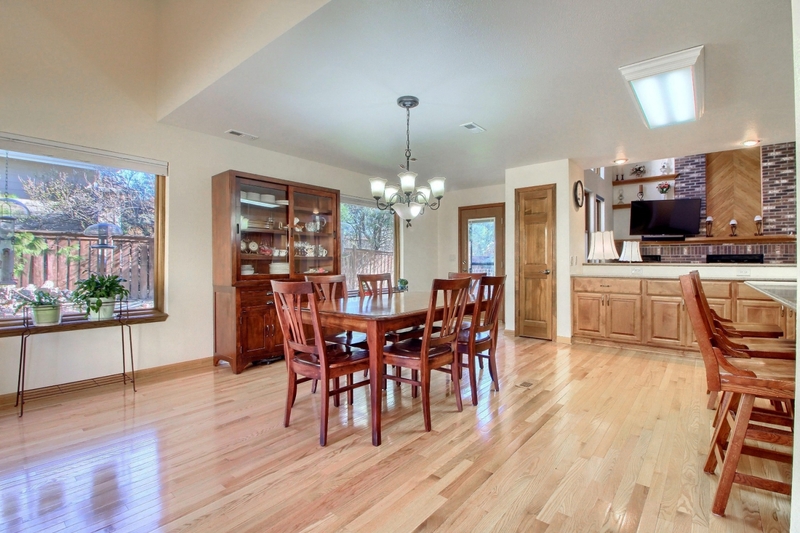 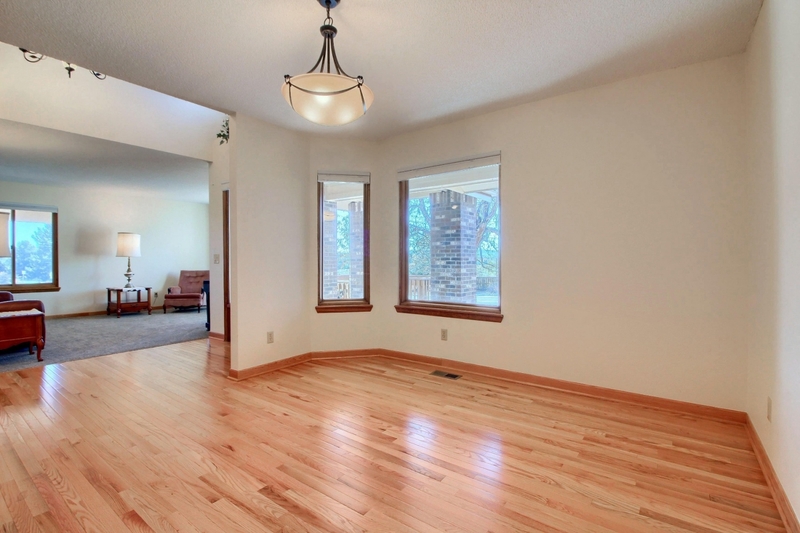 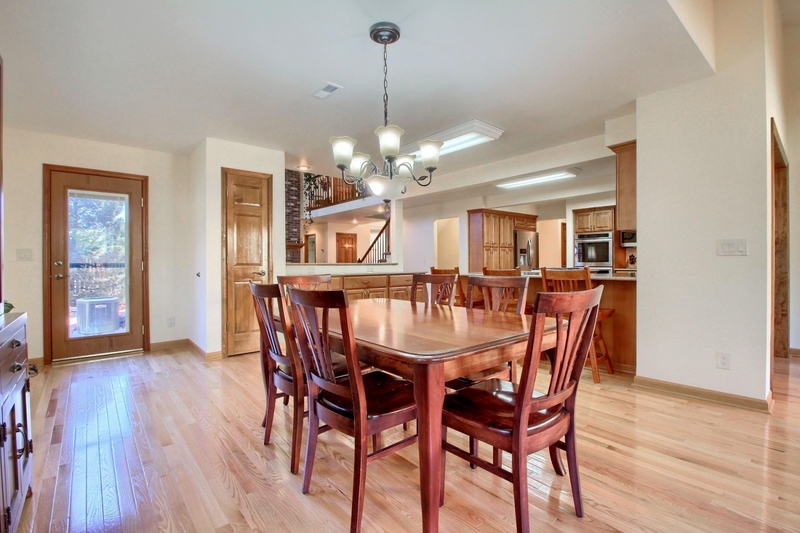 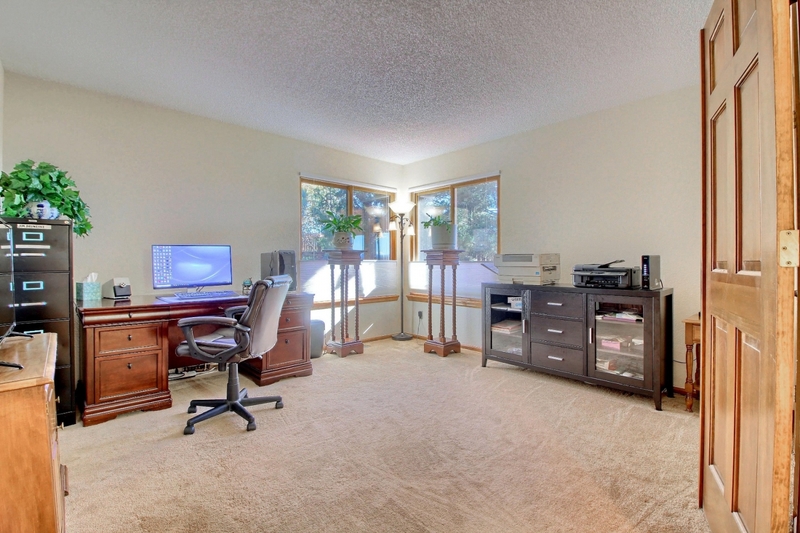 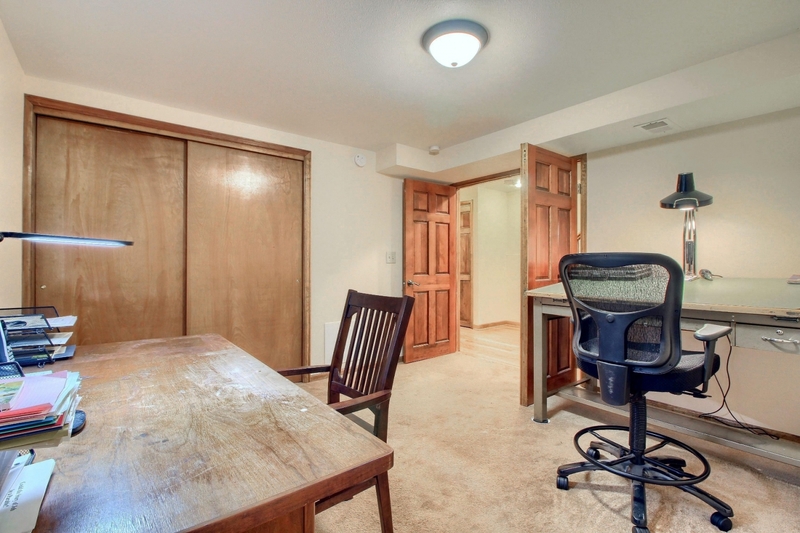 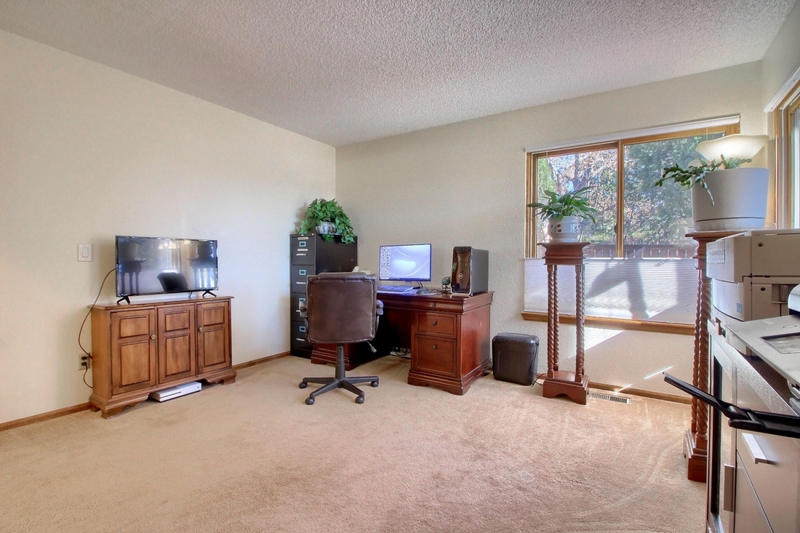 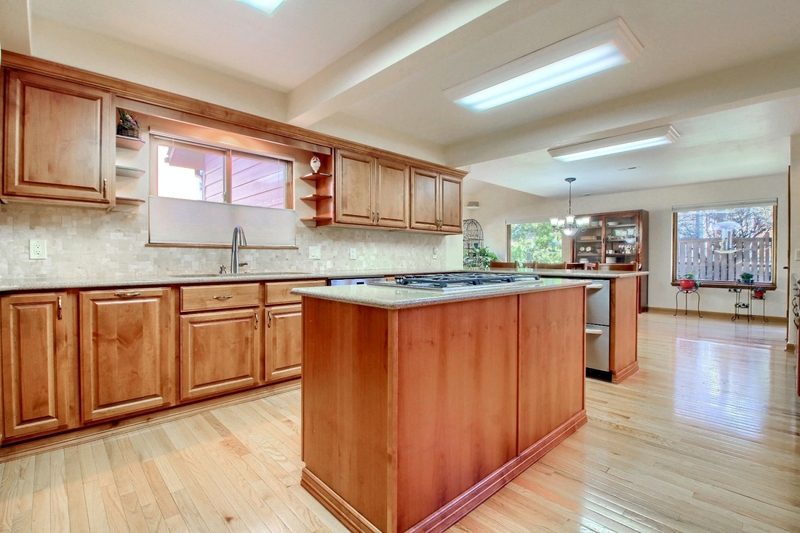 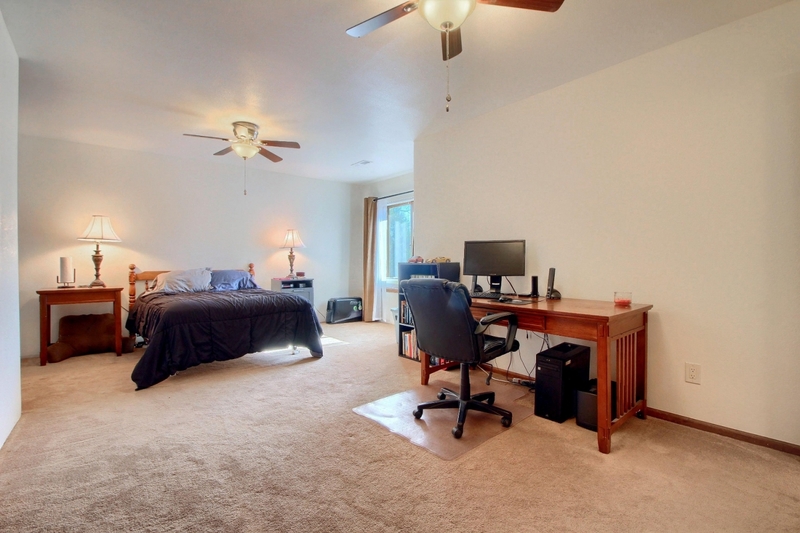 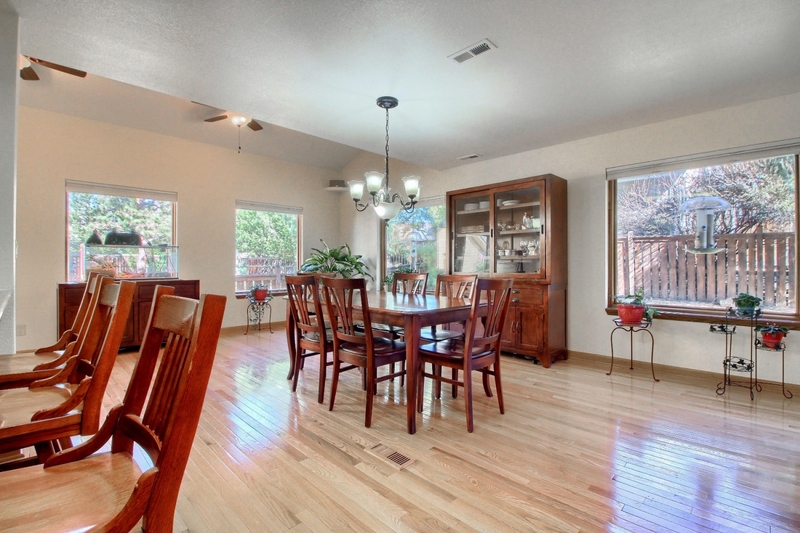 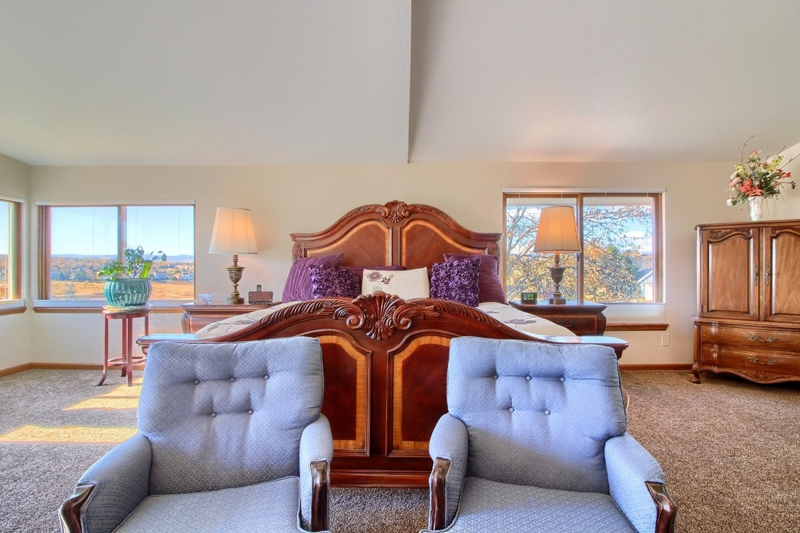 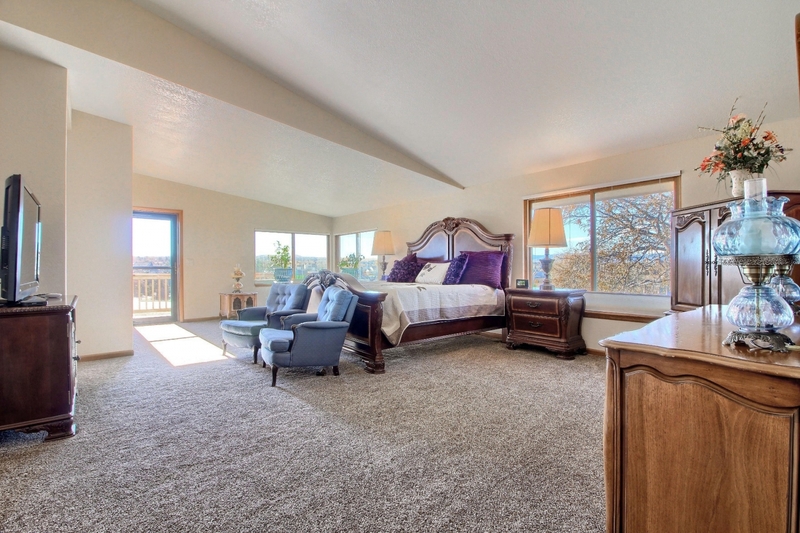 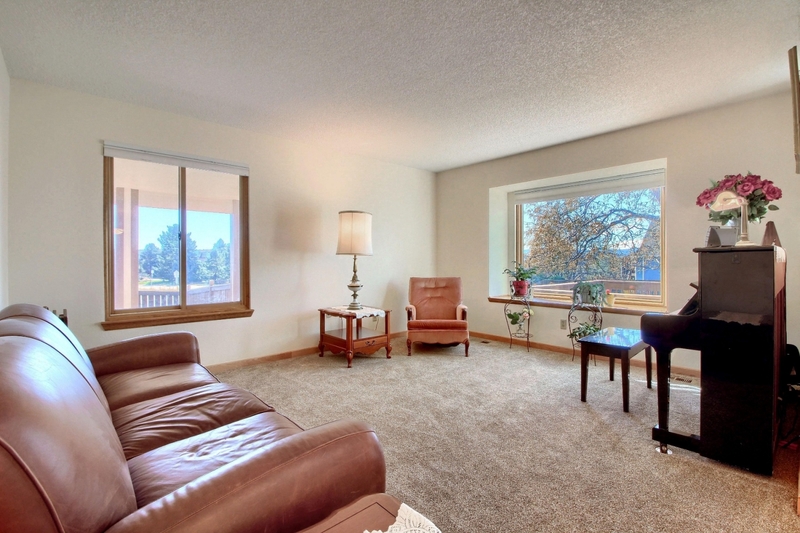 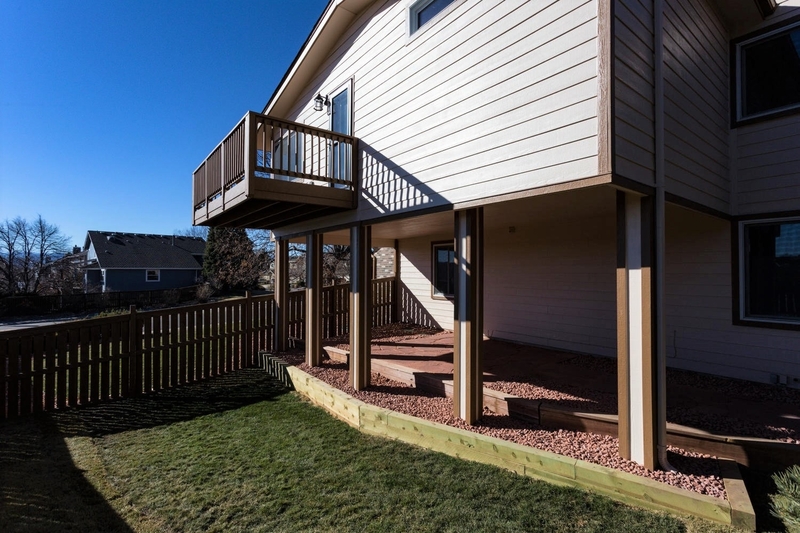 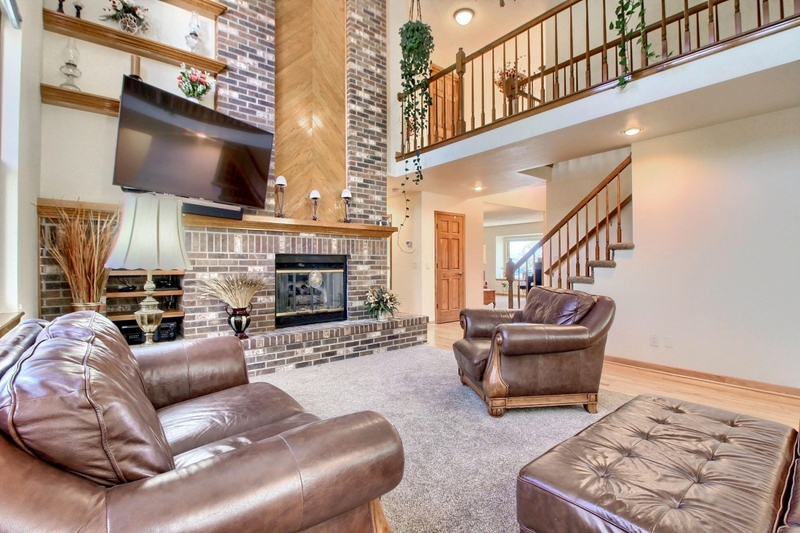 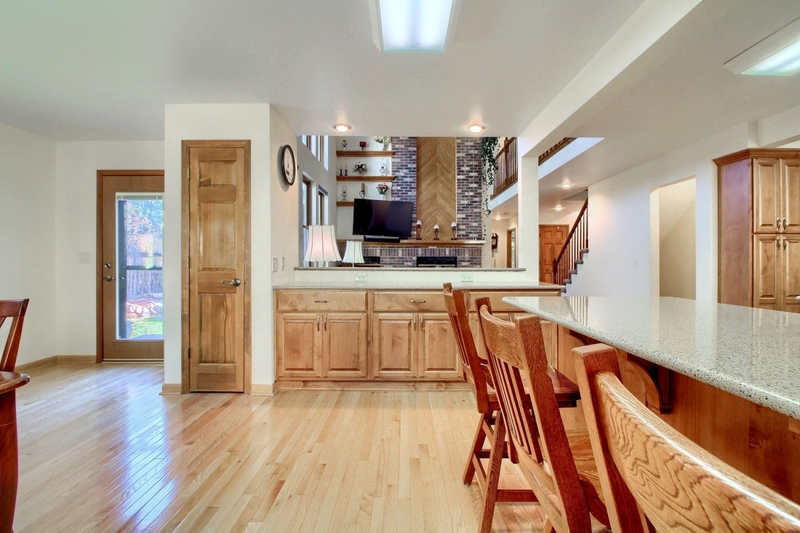 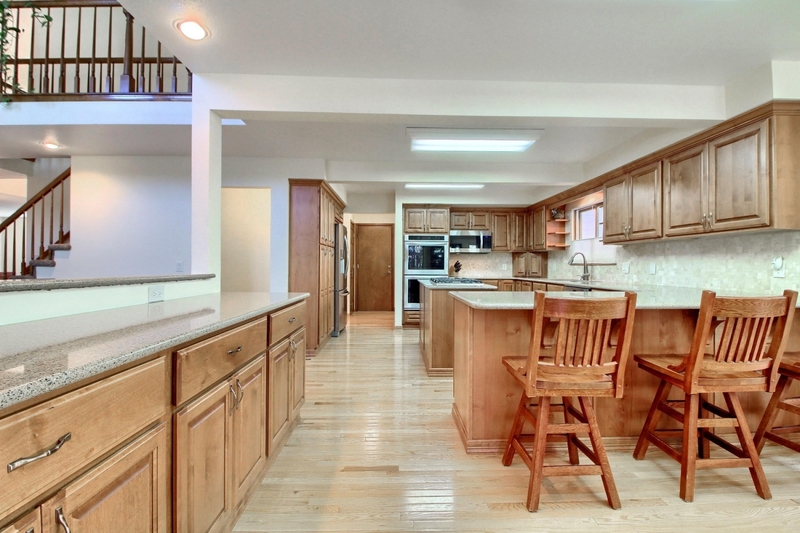 Upstairs is a Spacious Master Retreat with a New Addition! 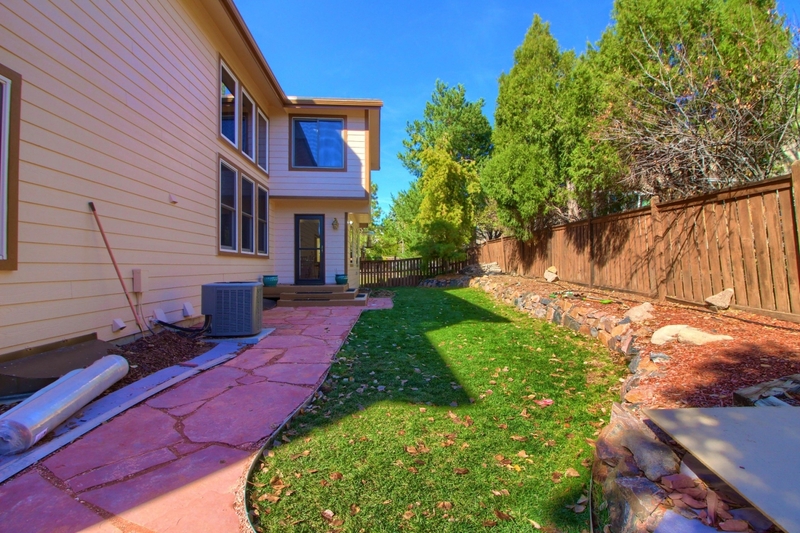 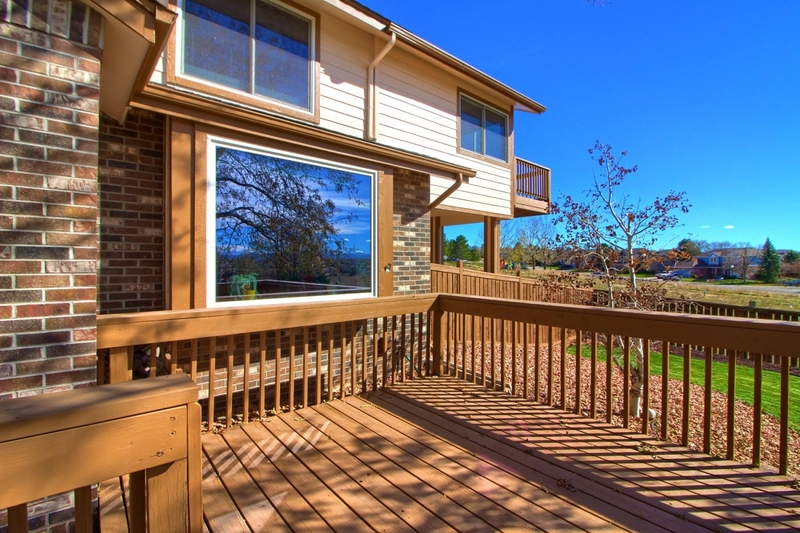 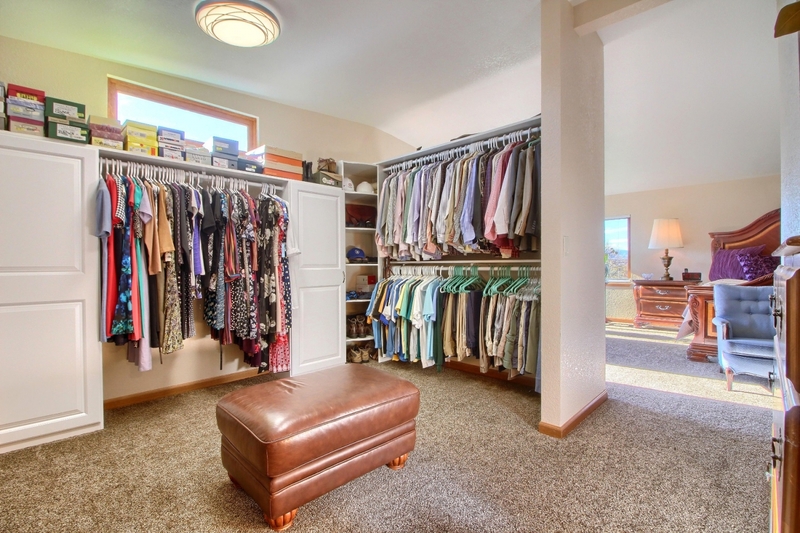 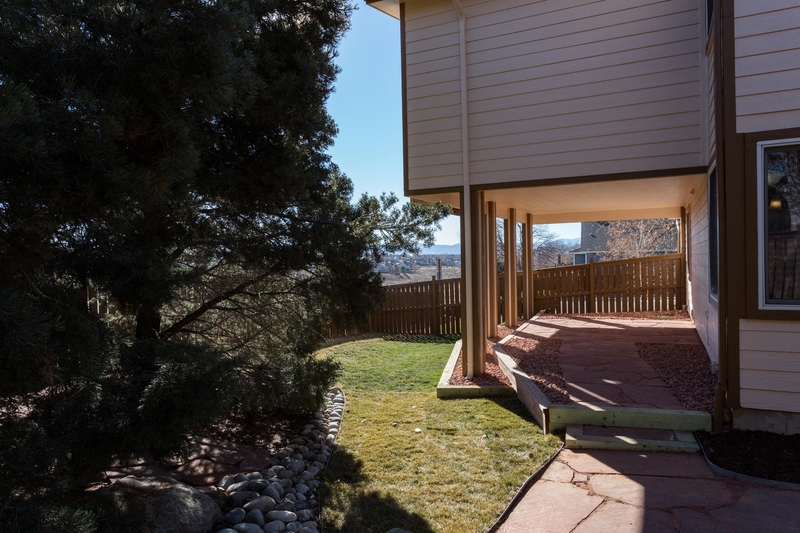 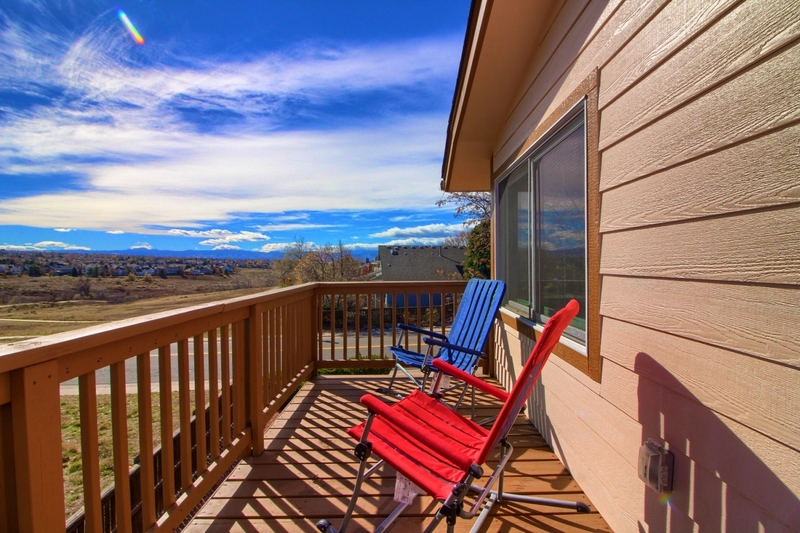 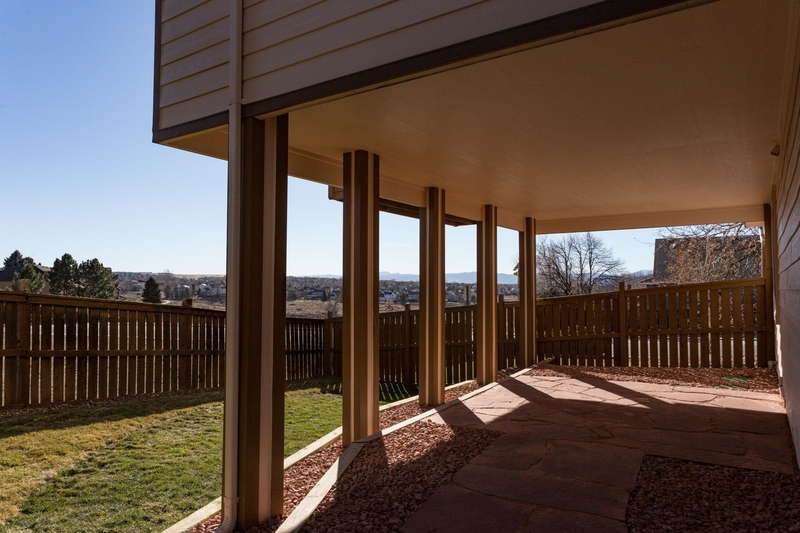 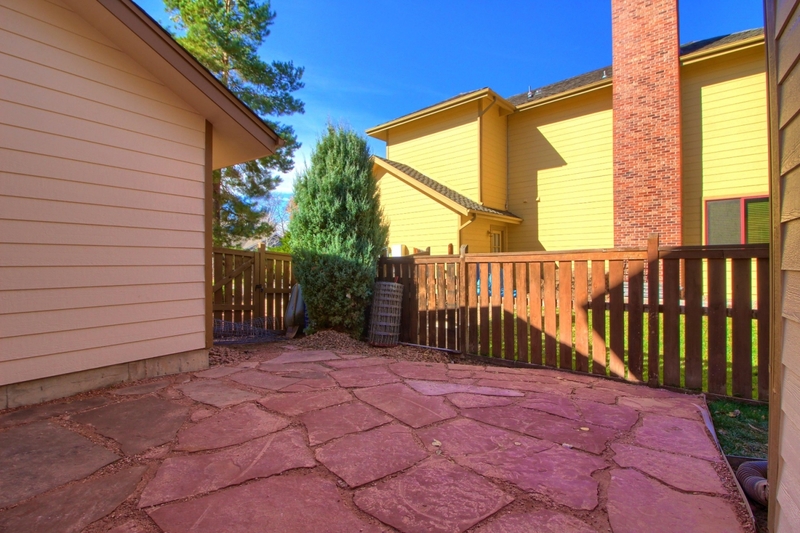 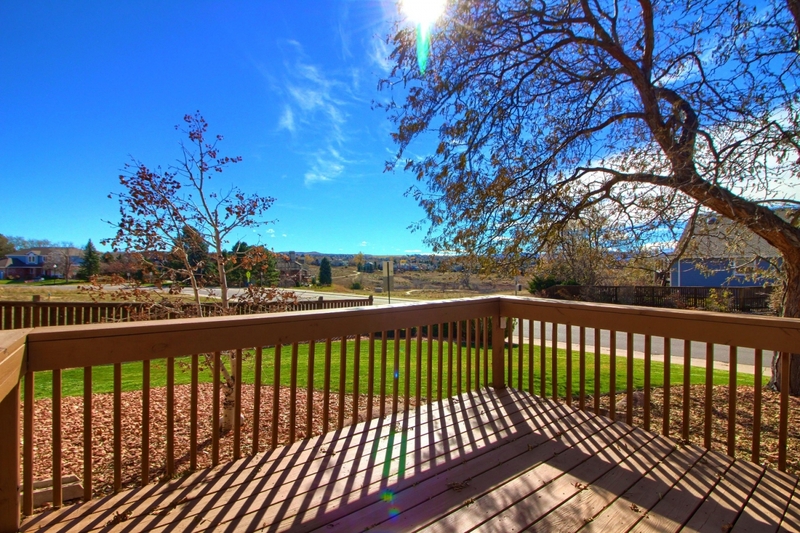 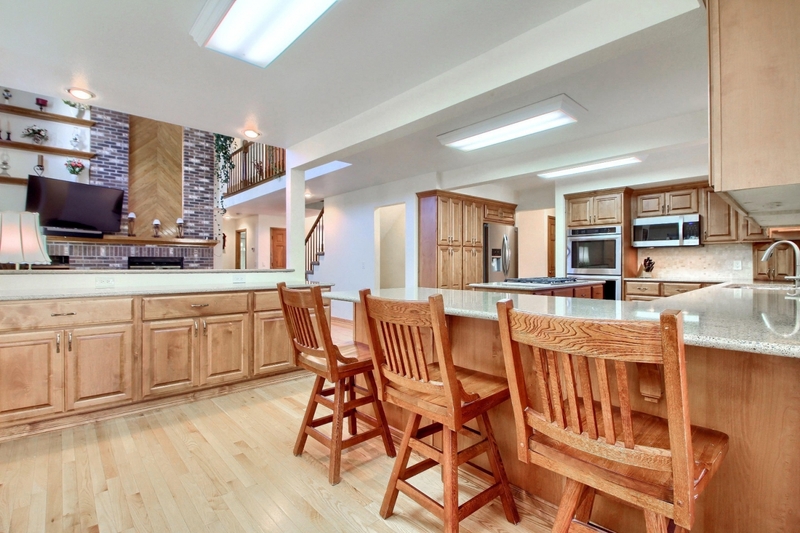 This Fantastic Master has a Bright Sitting Area with Panoramic Front Range Mountain and Open Space Views, Access to a New Private Deck and Appreciate those Fantastic Vistas plus a Huge Walk-in Closet with Natural Light. 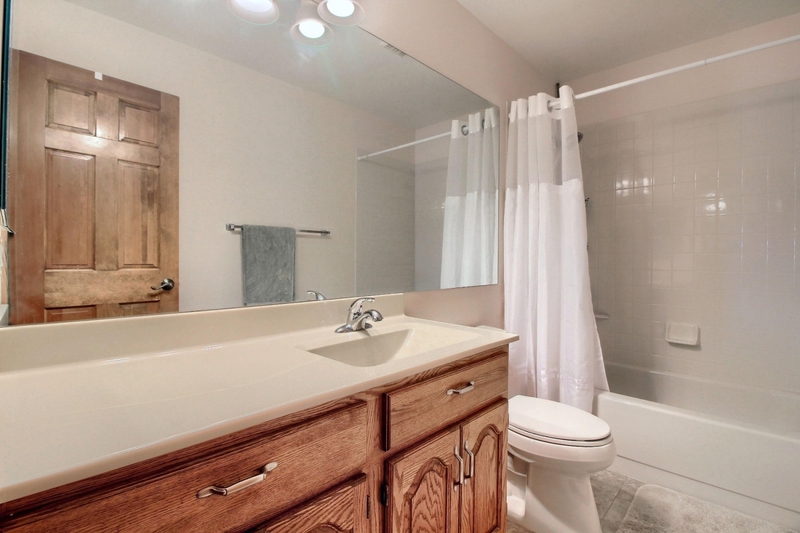 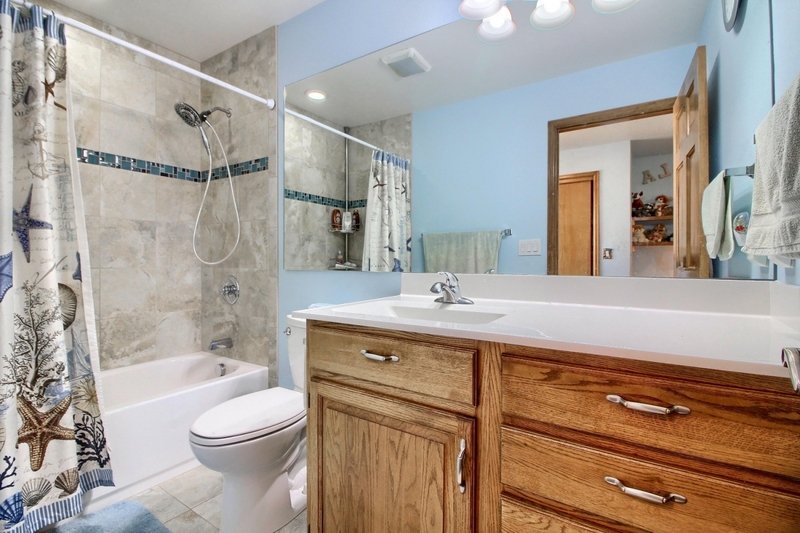 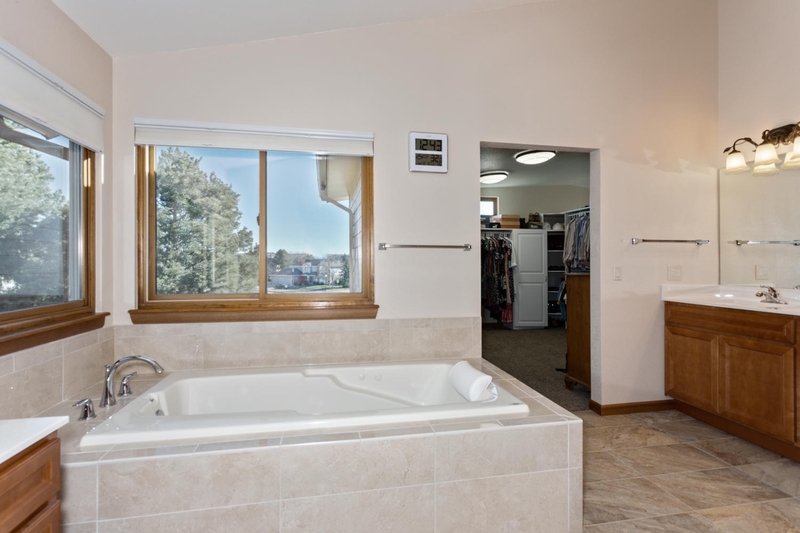 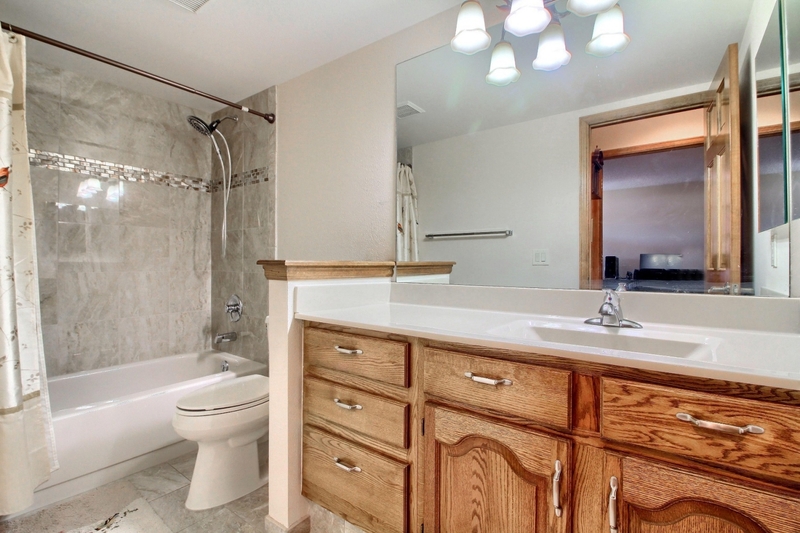 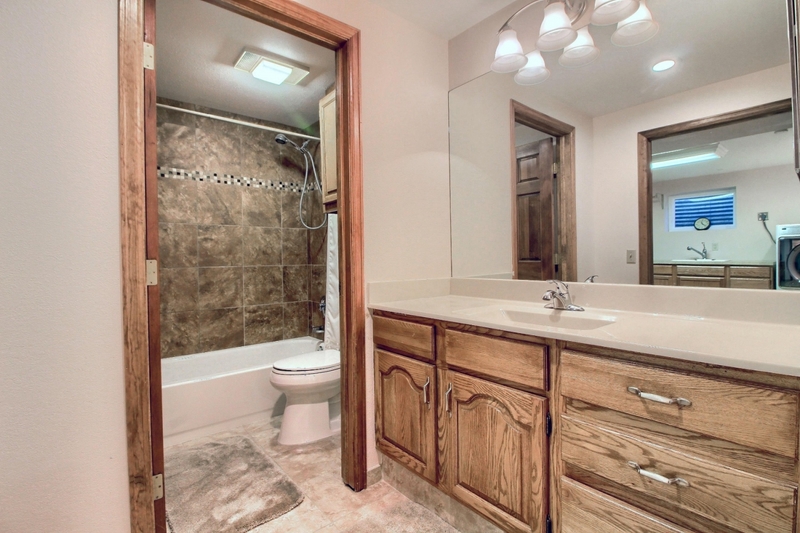 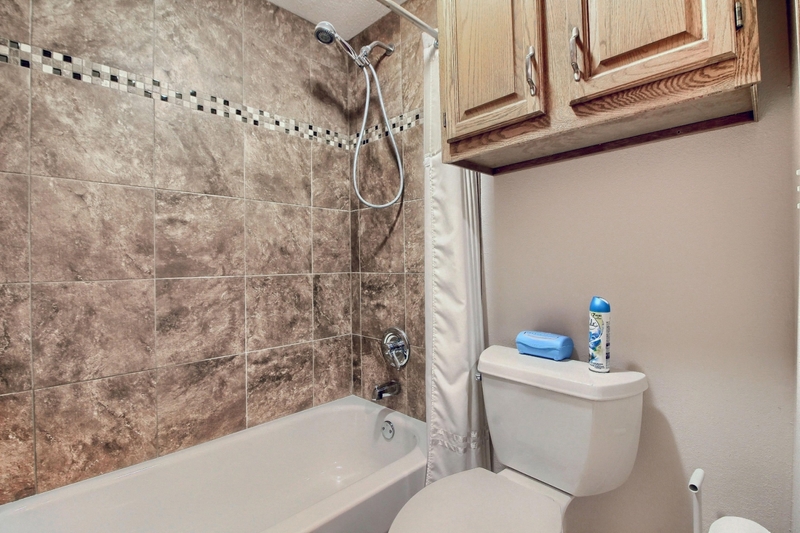 Enjoy the Remodeled 5 Piece Master Bath with a Jetted Soaking Tub. 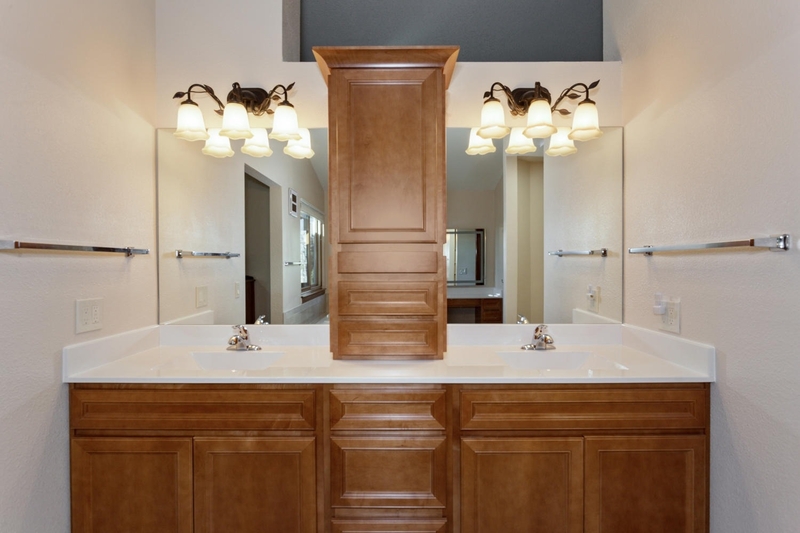 The Make-up Vanity with a Backlit Mirror is a Welcome Addition. 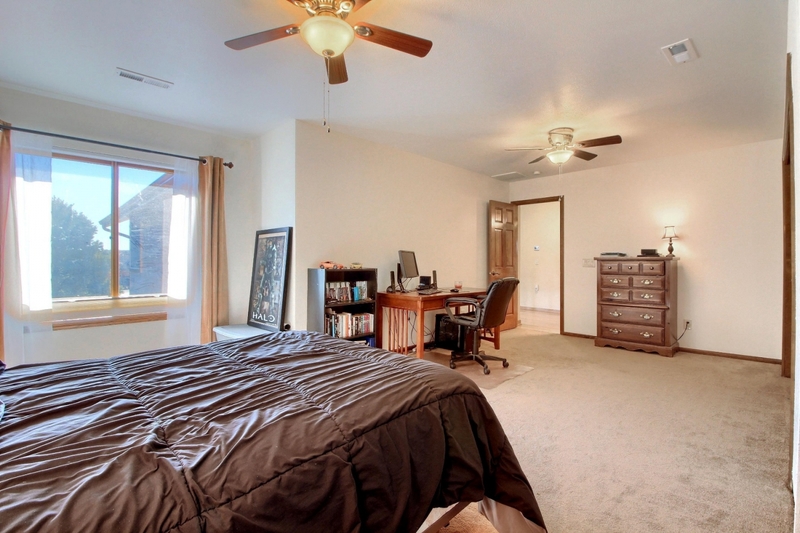 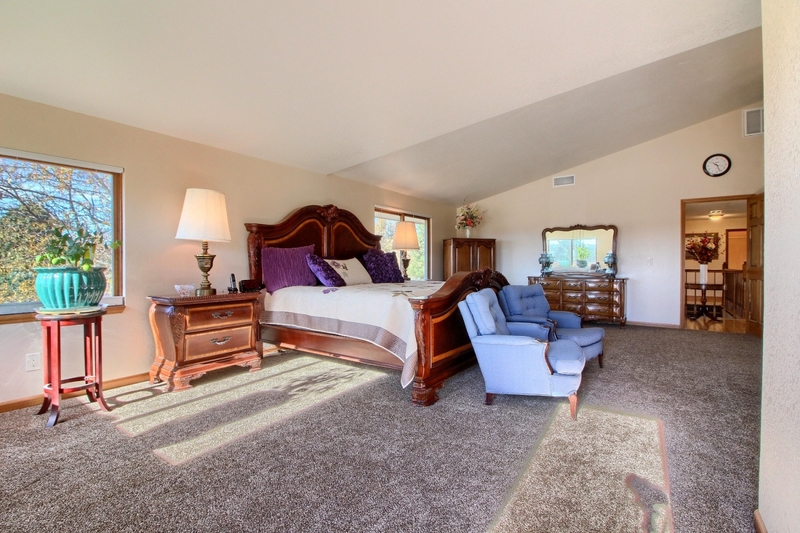 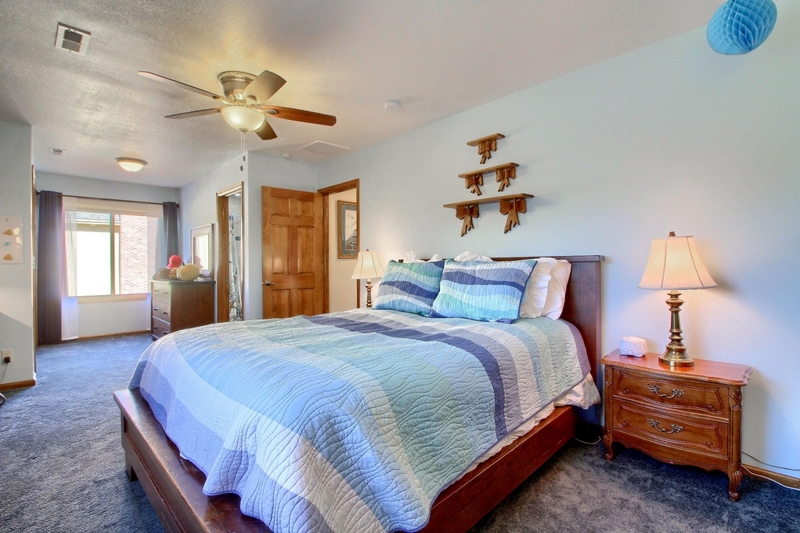 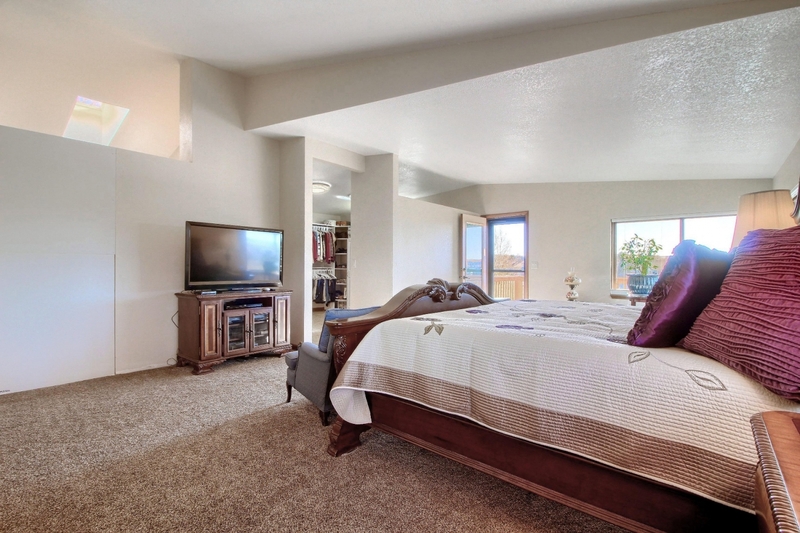 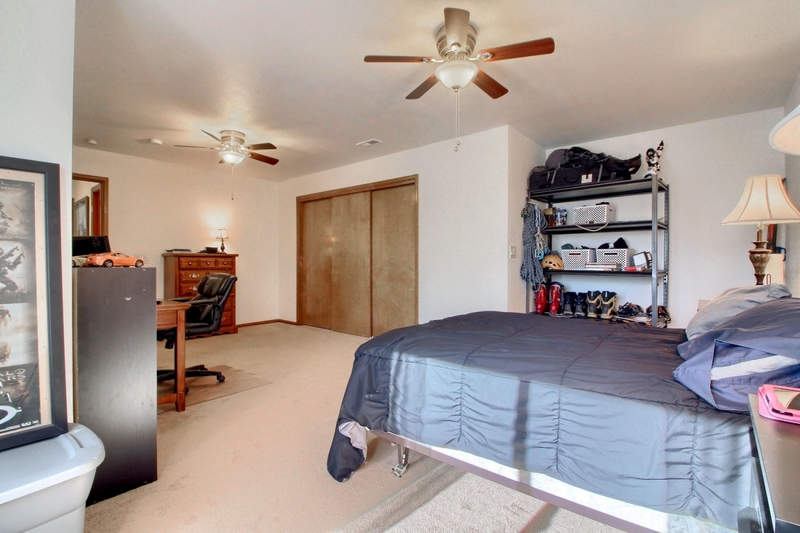 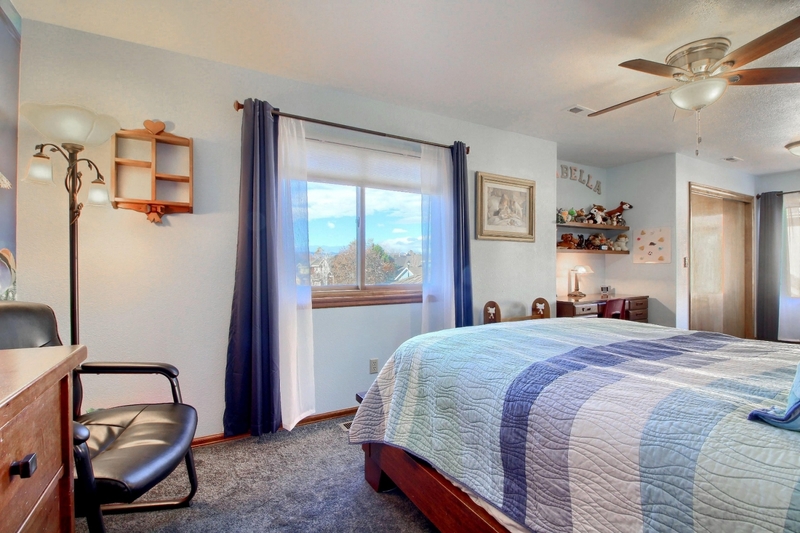 The Upper Level has 2 More Spacious Bedrooms each with their own Full Bathroom and both with Ceiling Fans. 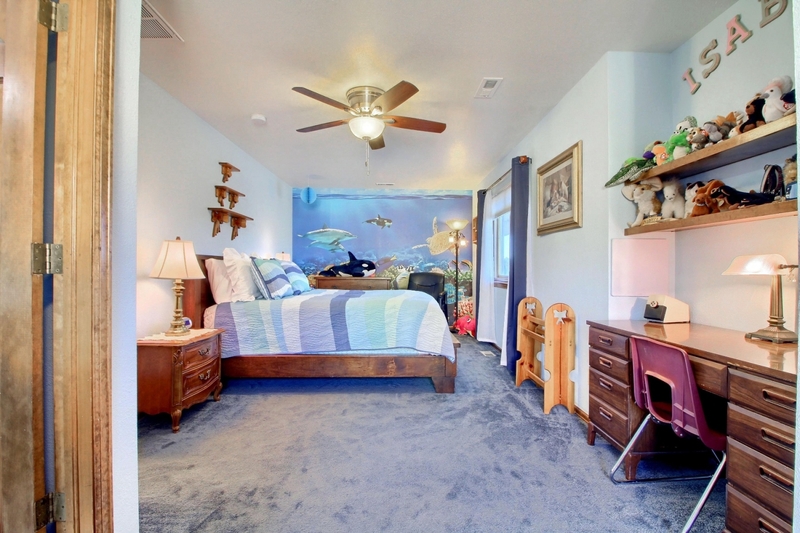 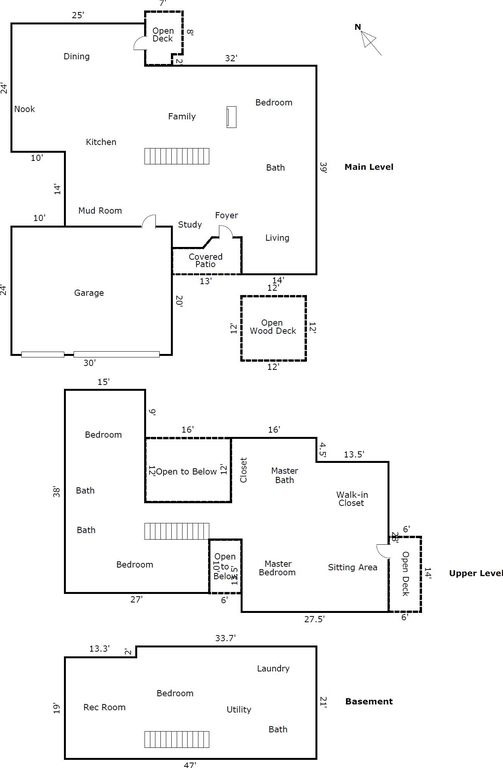 4th Bedroom is on the Main Level along with a Full Bath. 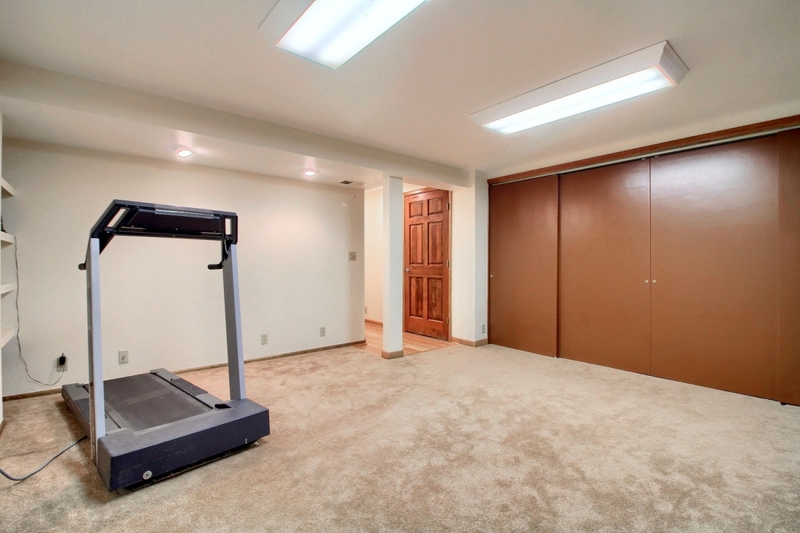 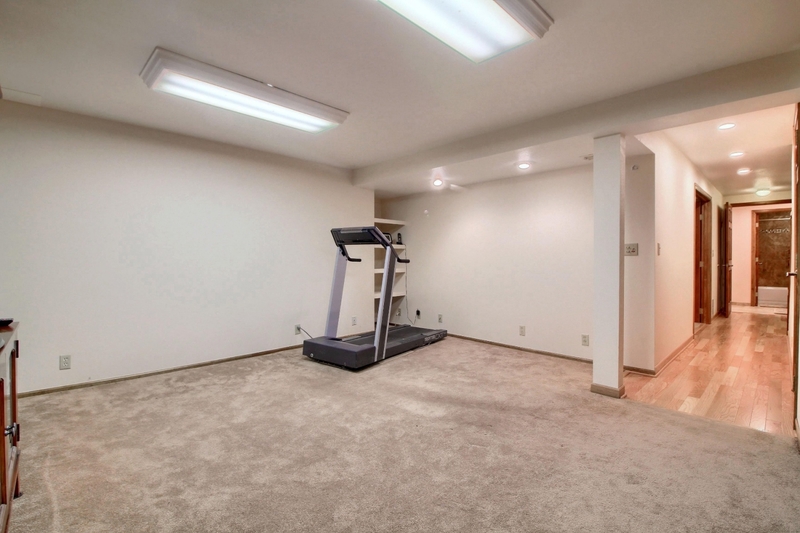 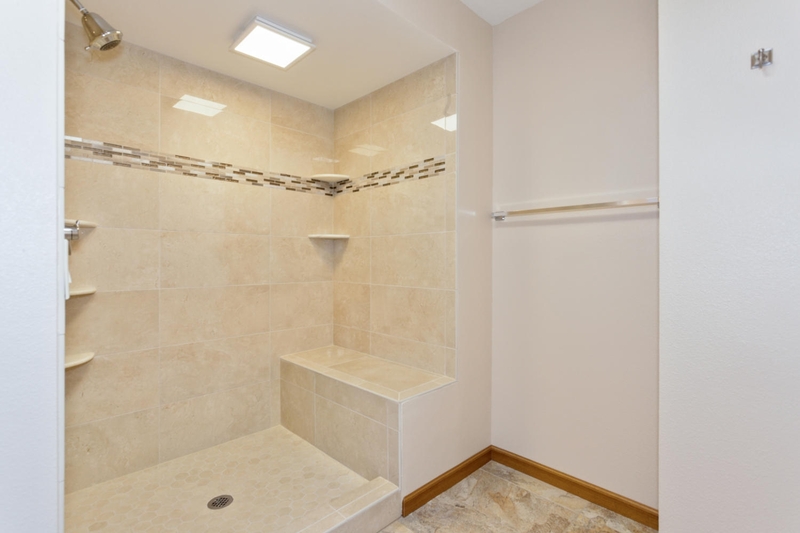 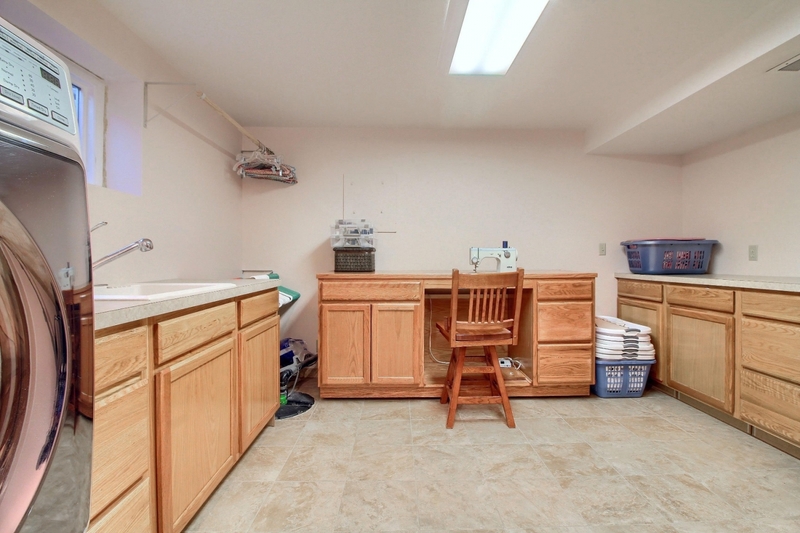 The Finished Basement offers a Rec Room/Exercise/Media Room, a 5th Bedroom, another Full Bath, plus a Large Laundry Room with a Utility Sink and Cabinetry. 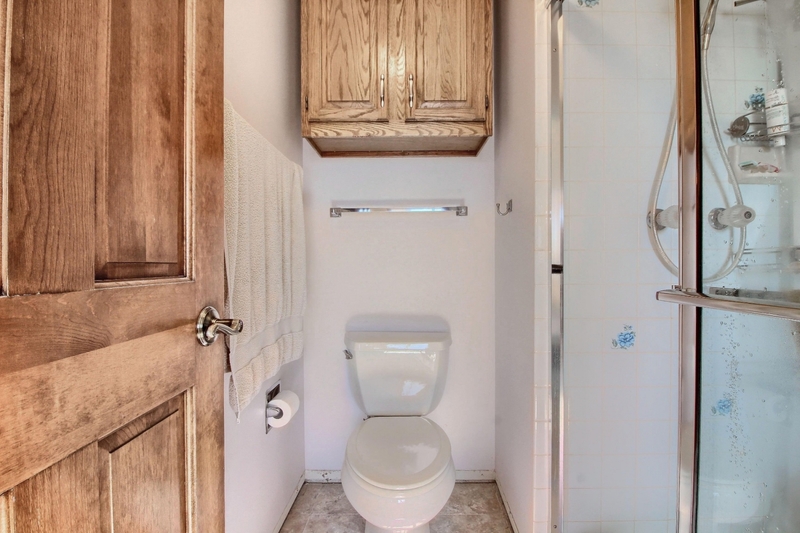 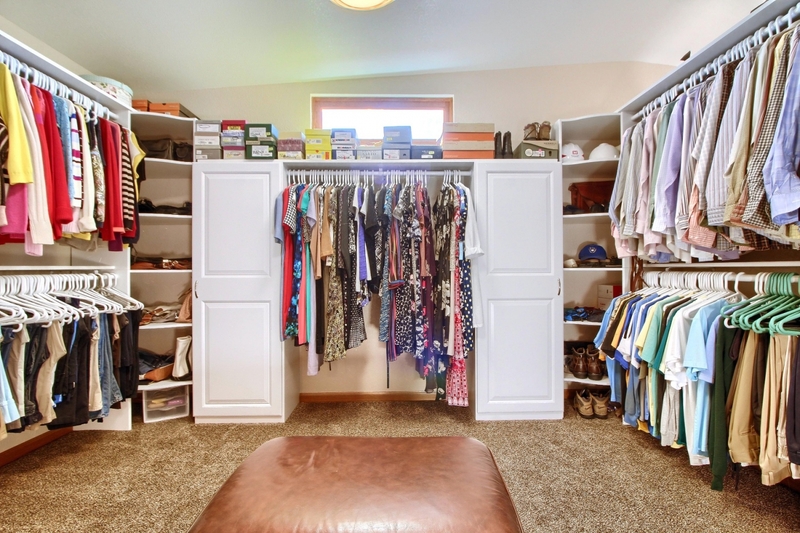 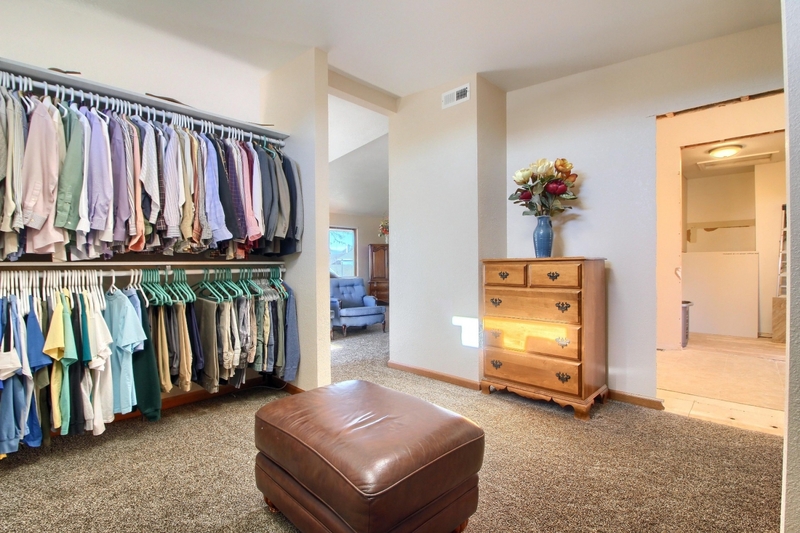 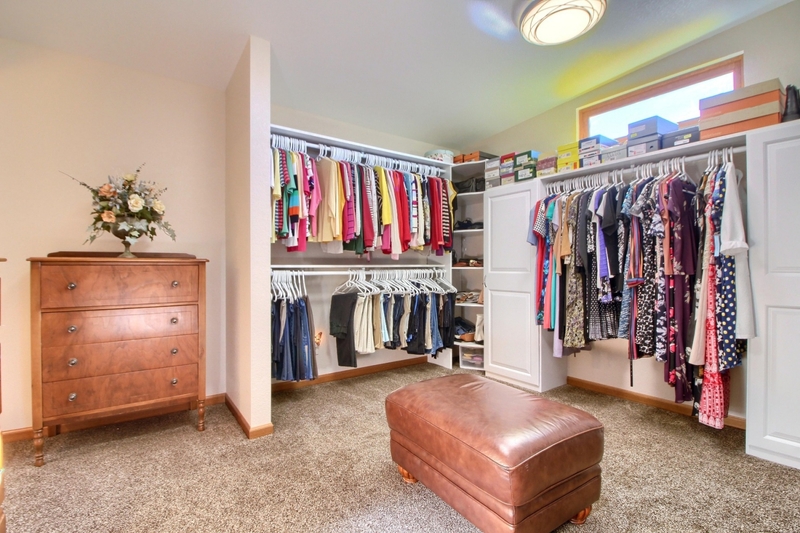 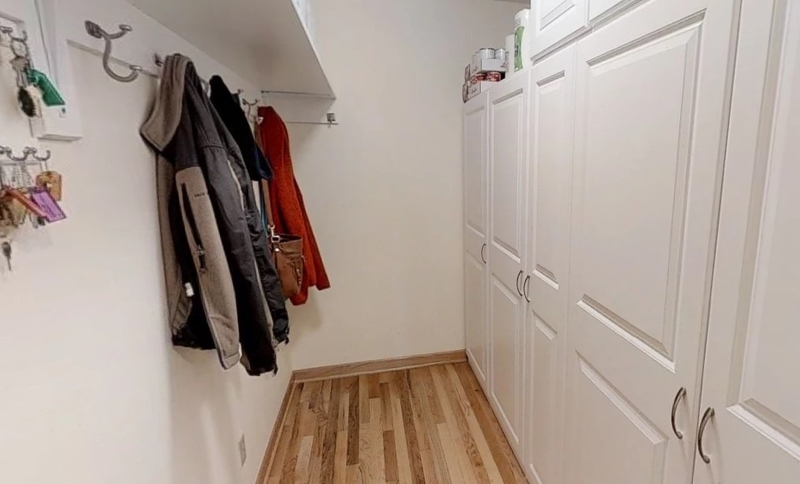 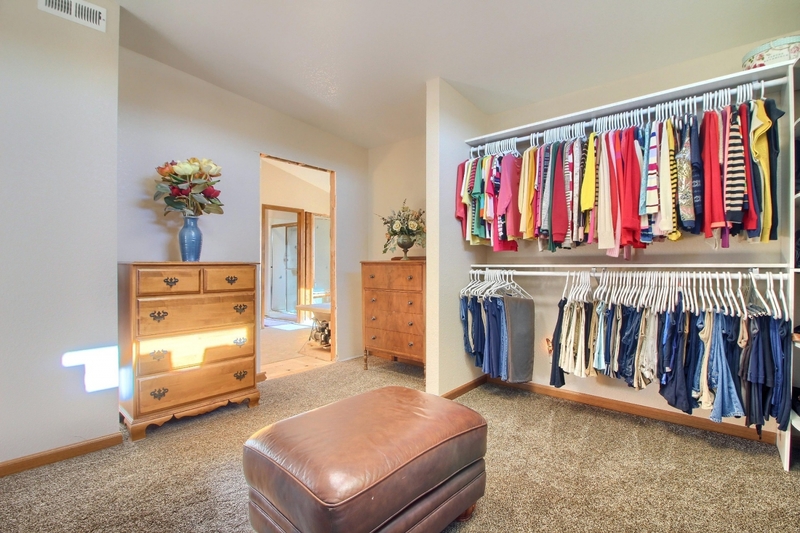 Additional Amenities include New Exterior Paint, 3 Car Garage, a Mud Room Providing Additional Storage in the Convenient Pantry Adjacent to the Kitchen. 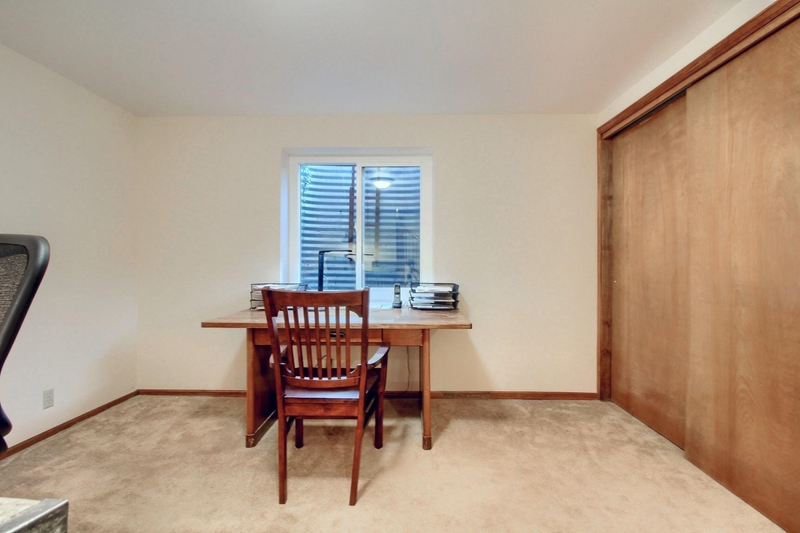 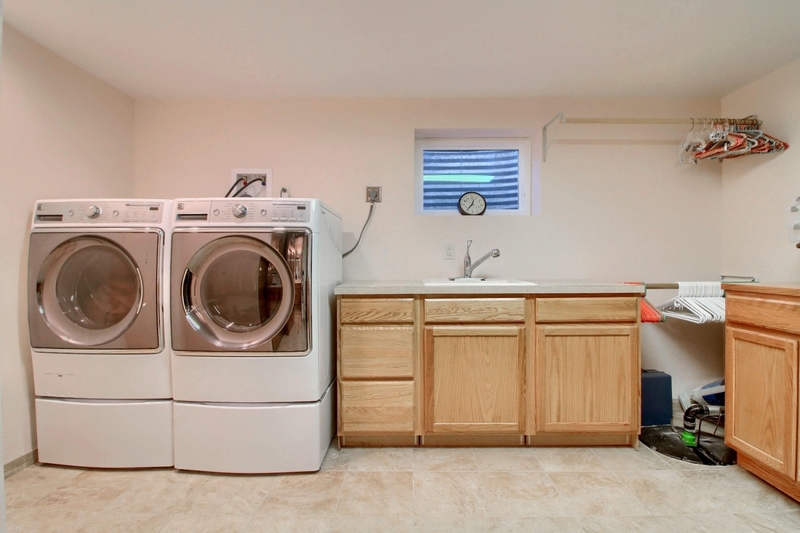 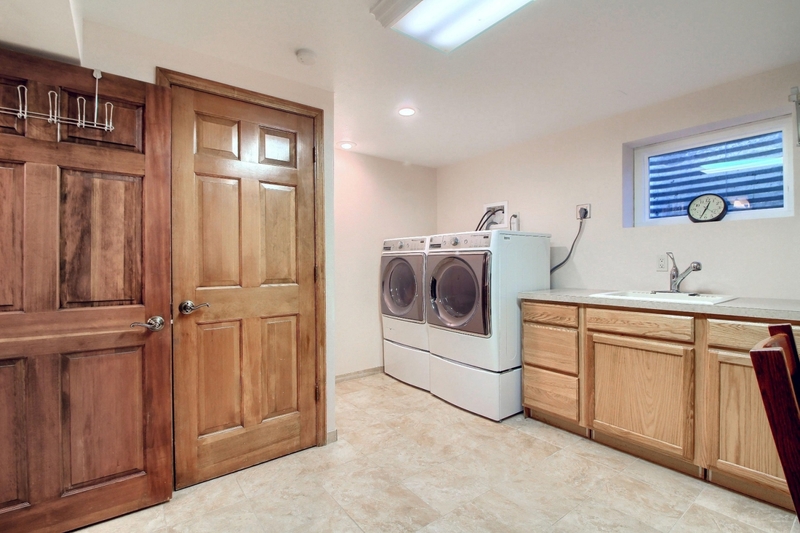 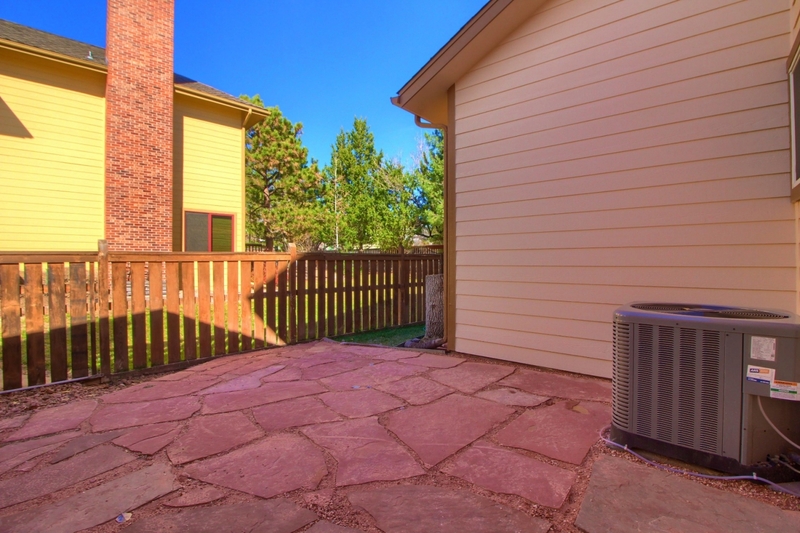 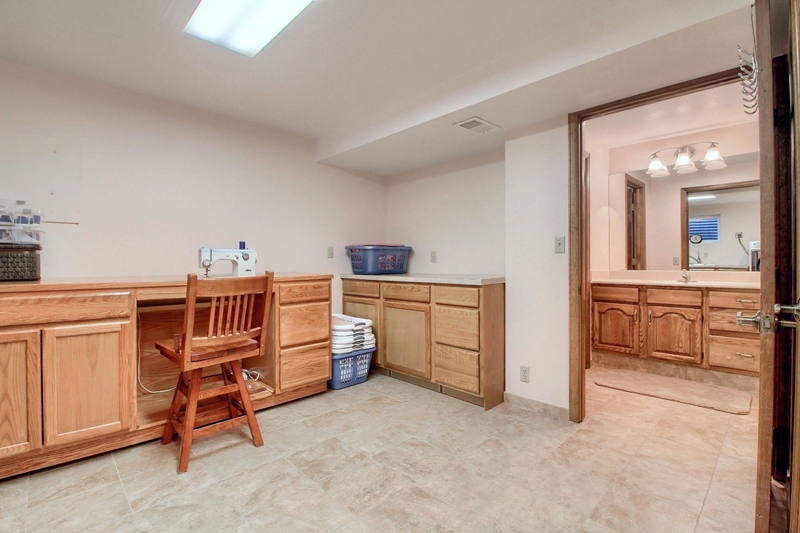 Central A/C, 2 HVAC Units (upstairs and downstairs), 2 Water Heaters and a Water Softener. 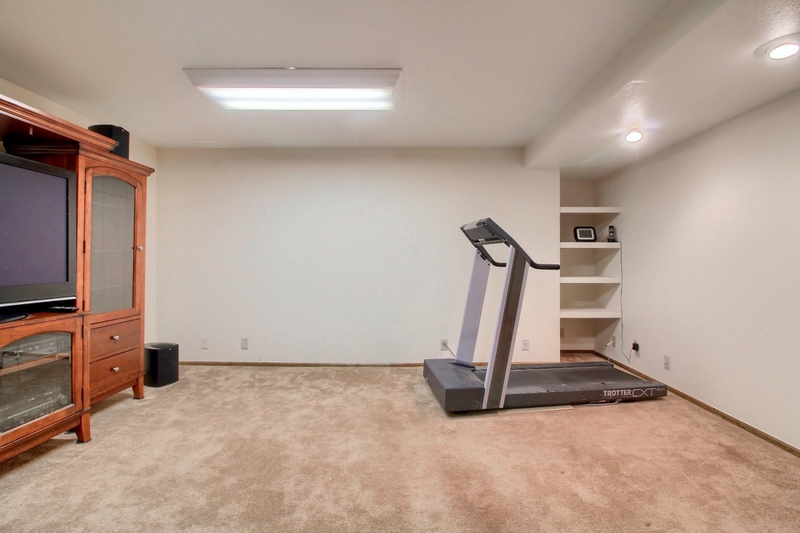 Conveniently Located! 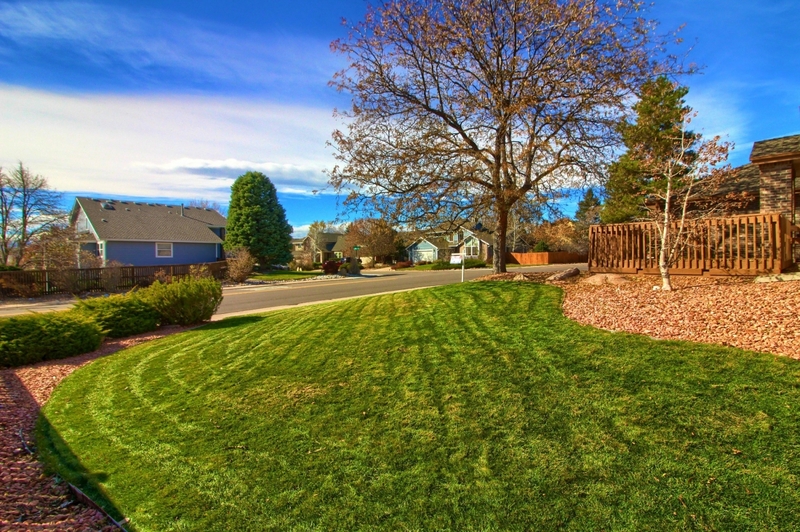 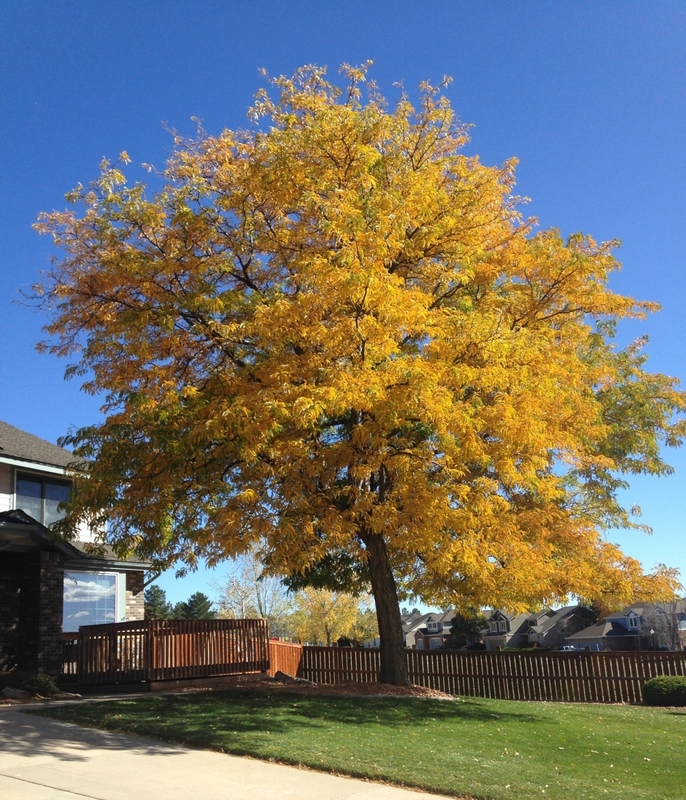 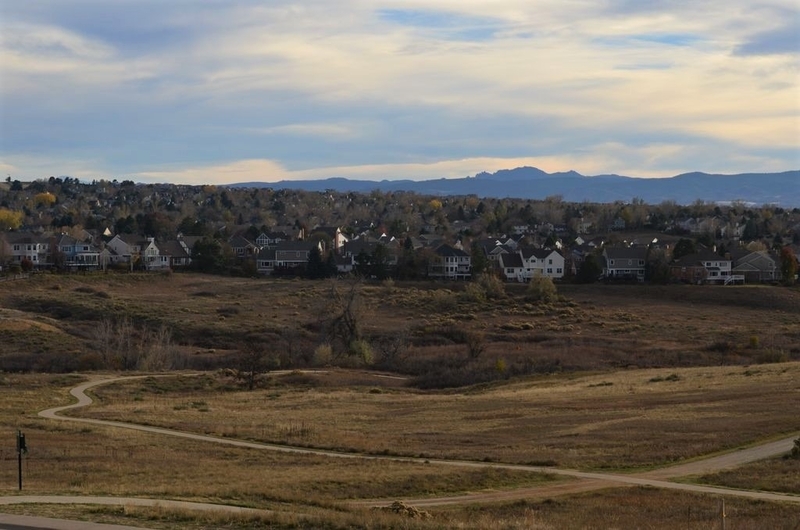 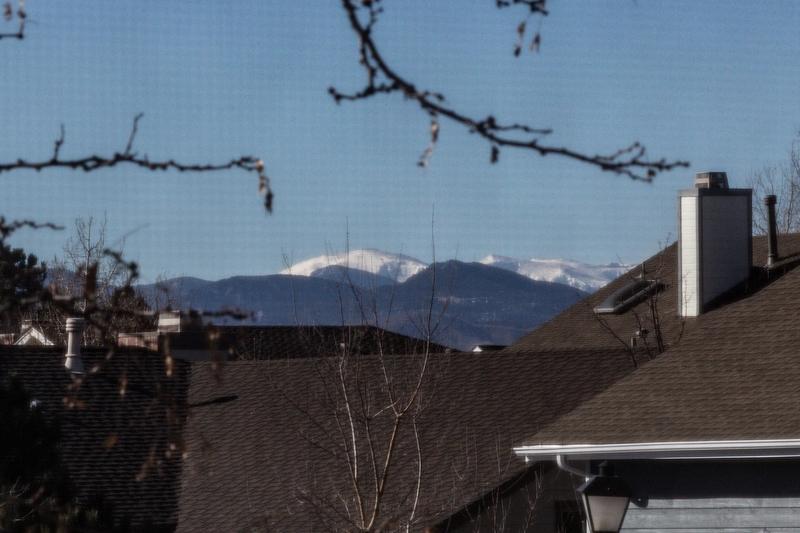 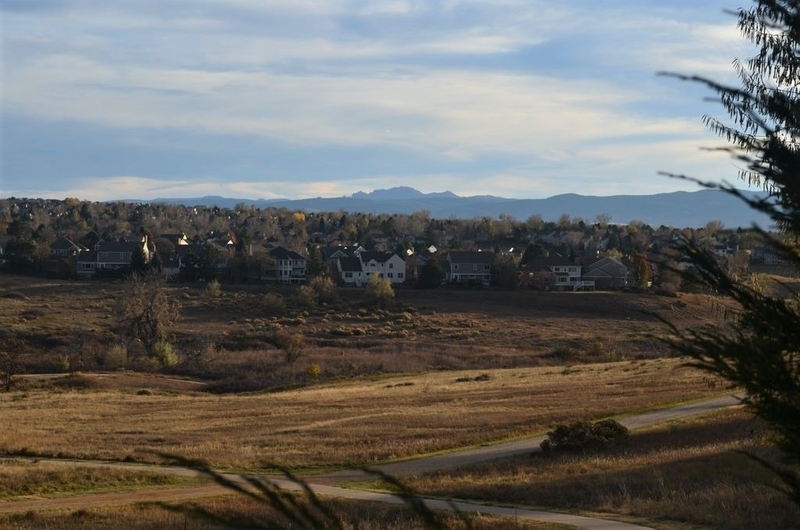 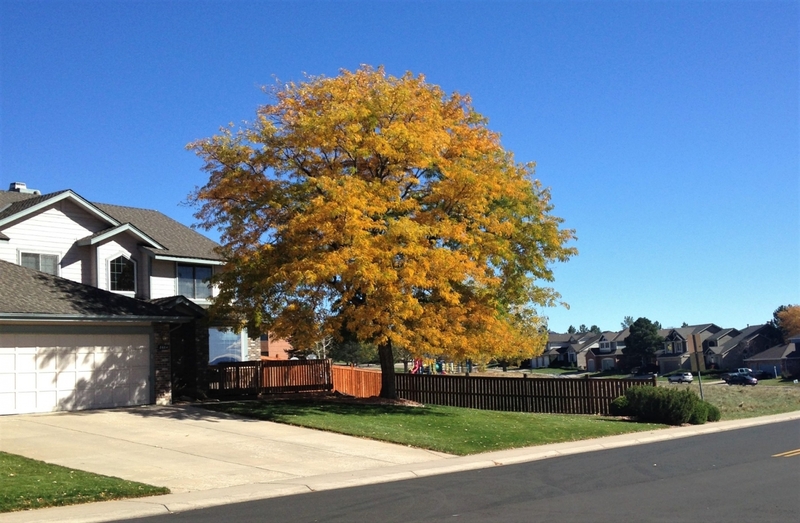 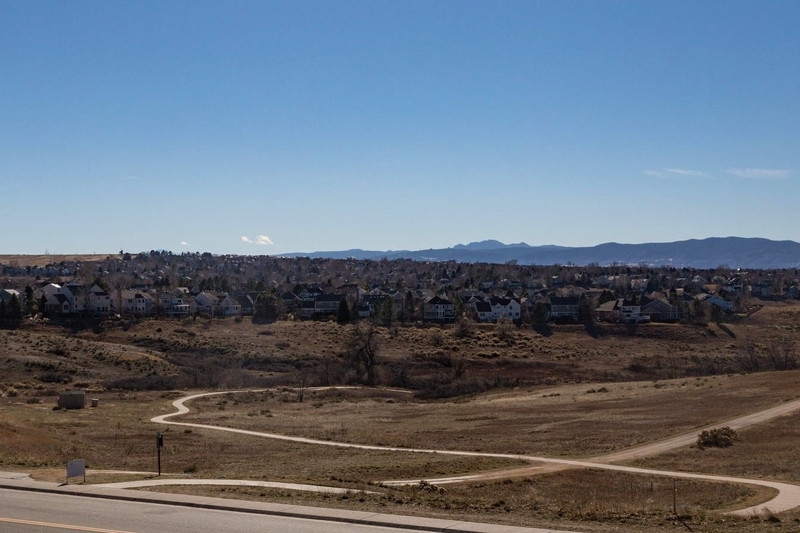 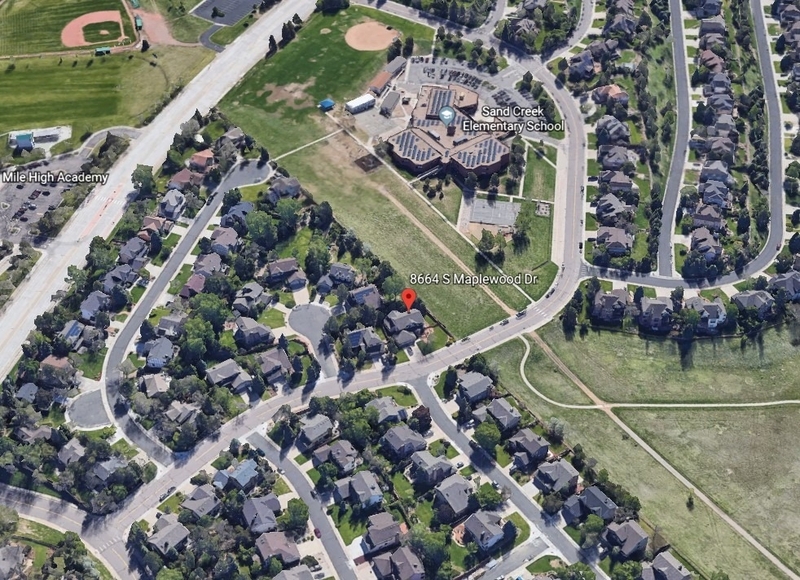 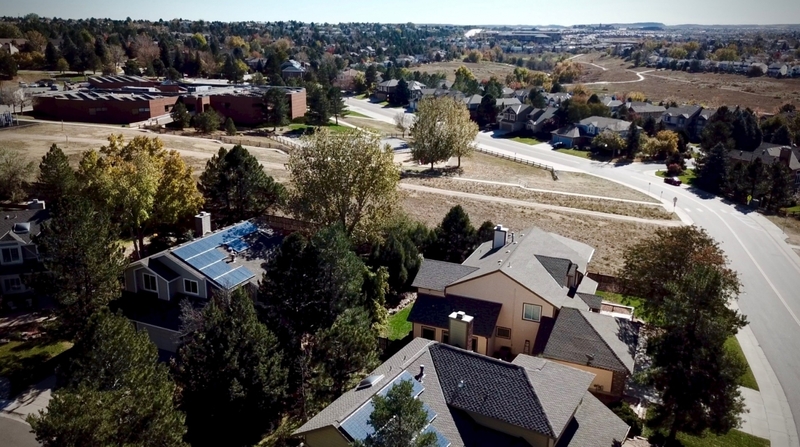 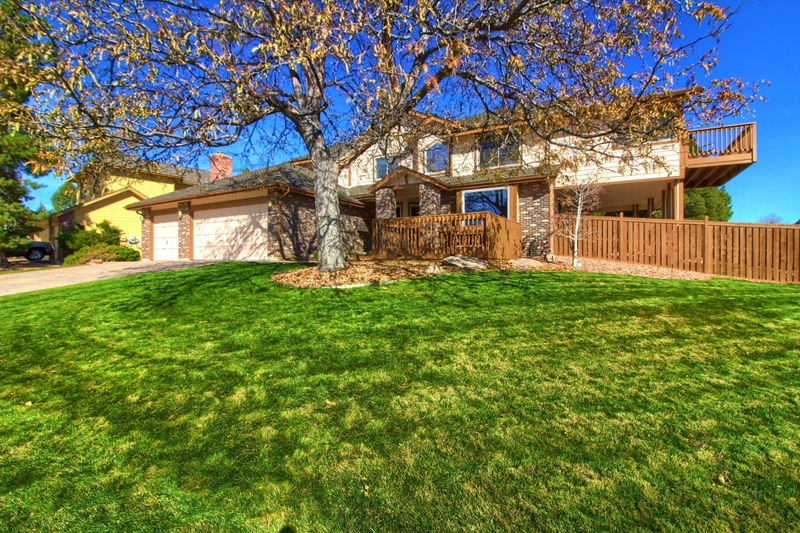 Just 2 minutes away from C-470 and RTD Station. 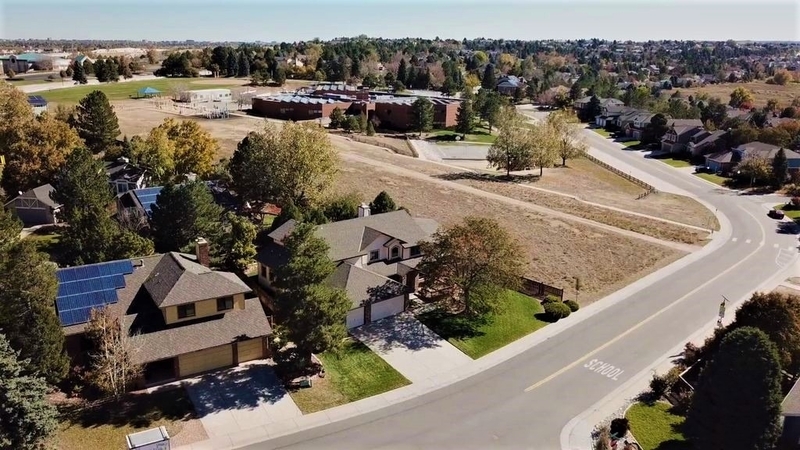 Very Short, Easy Walk to the Elementary School. 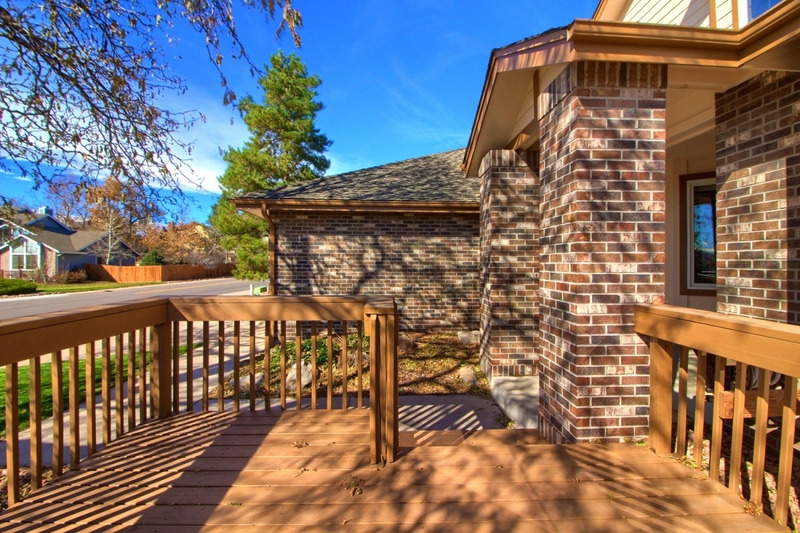 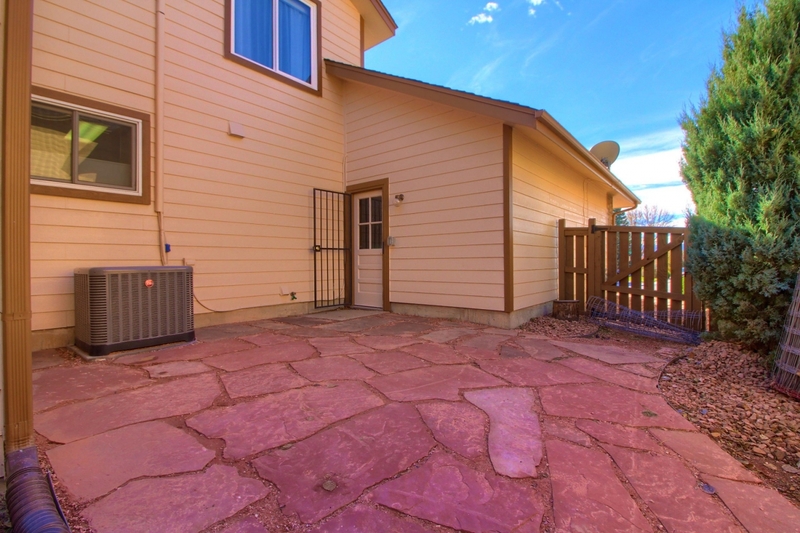 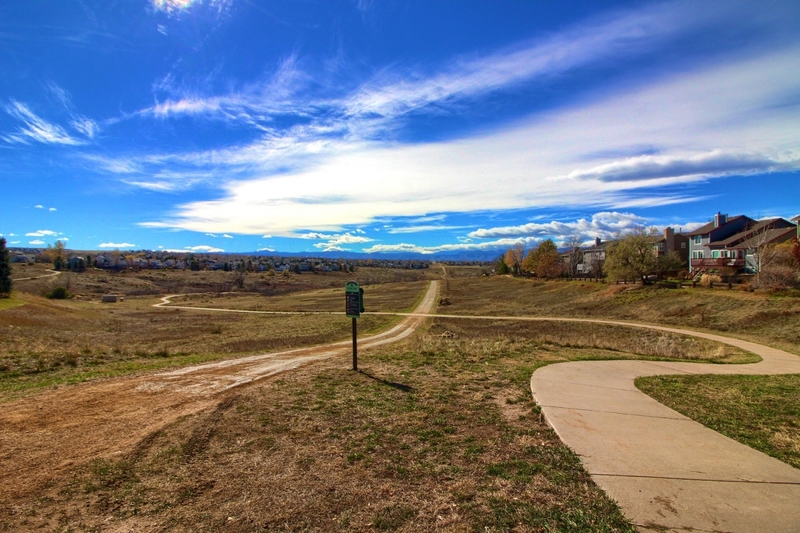 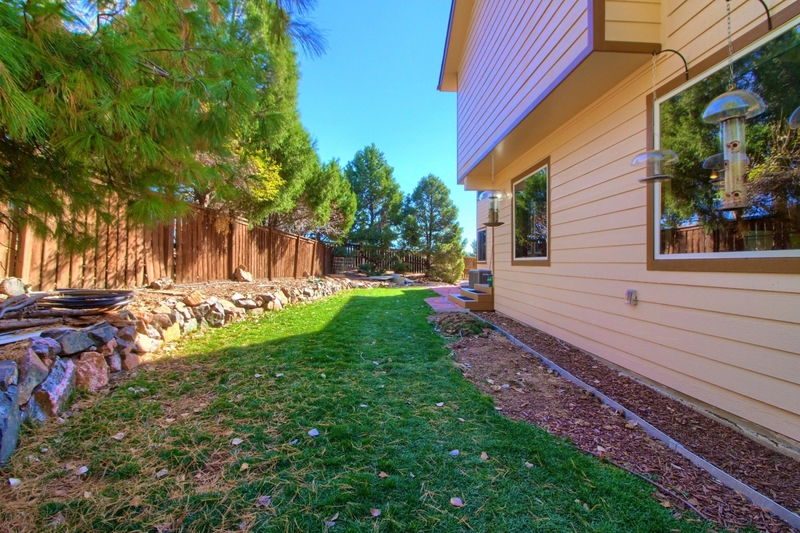 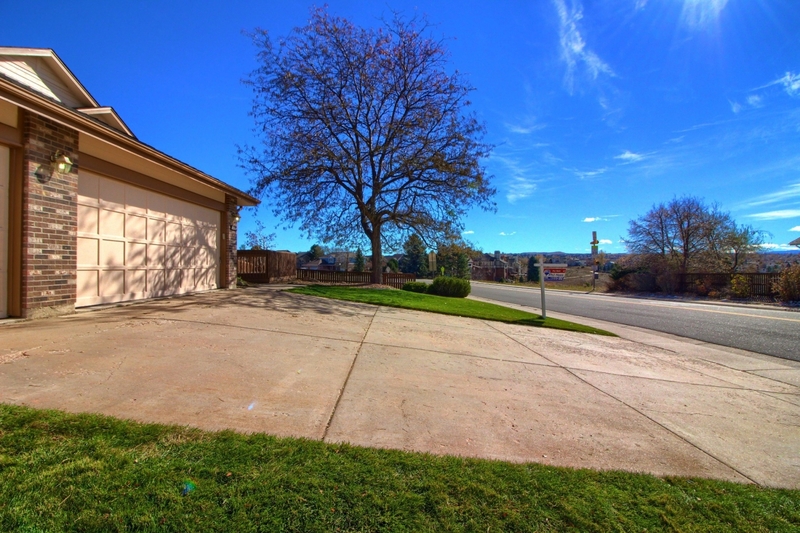 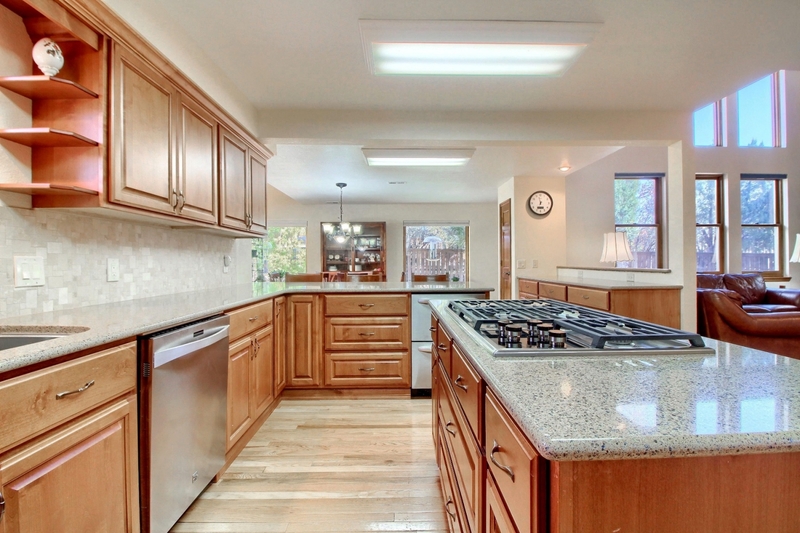 Steps from Miles of Trails Leading to Parks and Open Space. 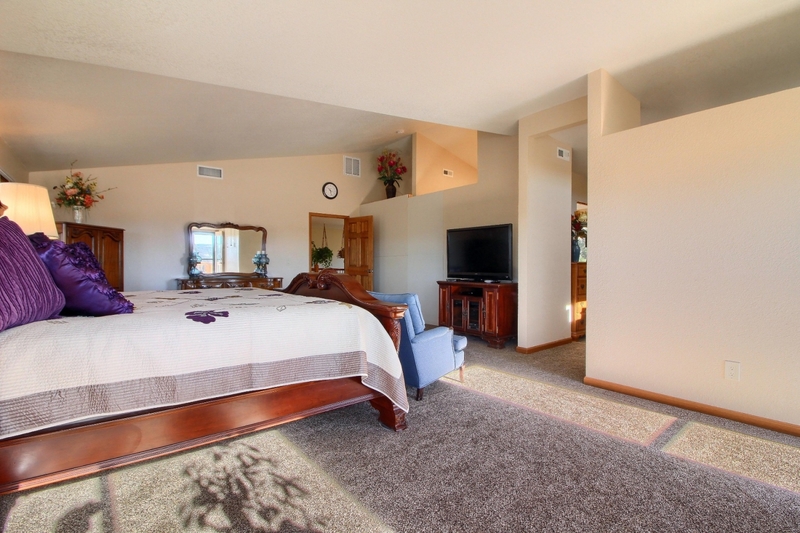 Only a few Minutes to Shopping and Dining. 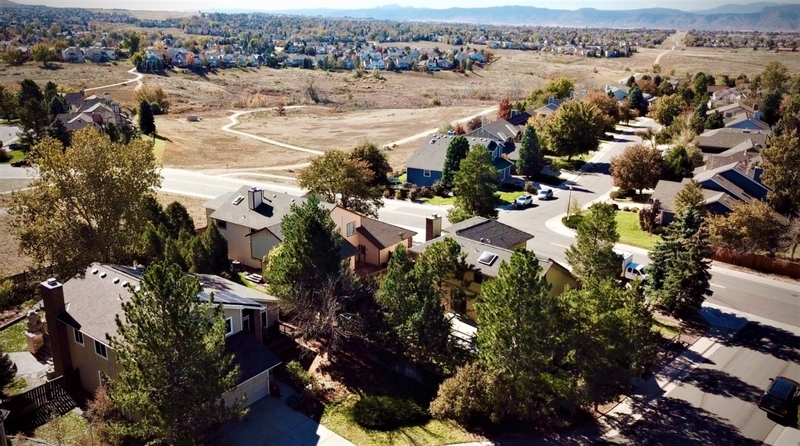 Enjoy all that the Community has to Offer with a Clubhouse, Community Pools, Indoor Hot Tubs, 4 Fitness Facilities, Family Spa, Steam Room and Tennis Courts.